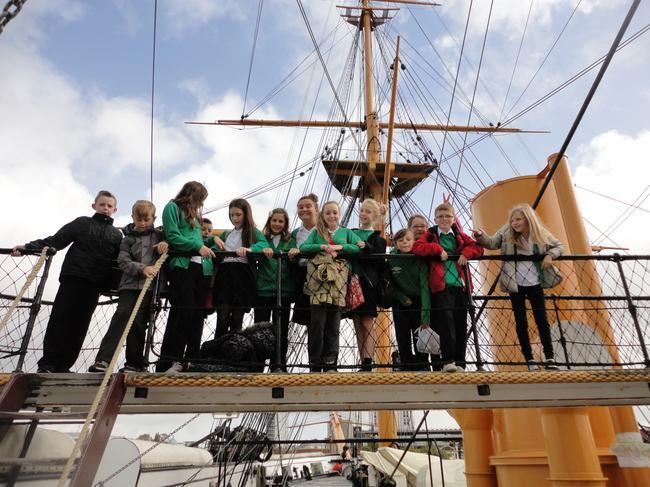 As part of our 'Ships and Coasts' topic, Y6 visited the Dockyard this week in three small expert groups. 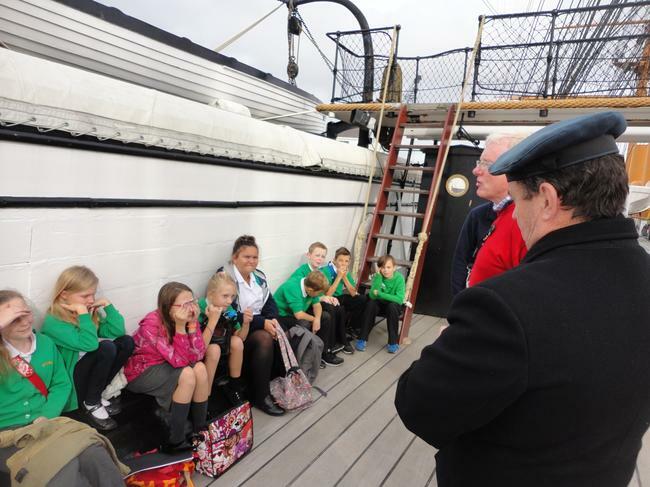 In groups averaging 14 children, this gave us the opportunity to study key aspects of our naval history in greater depth. 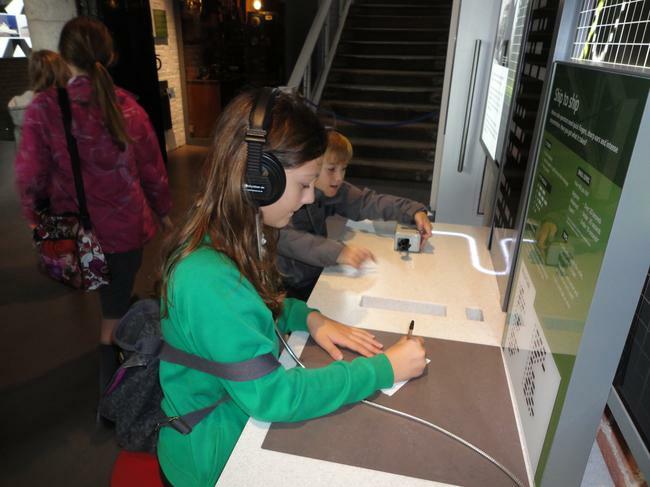 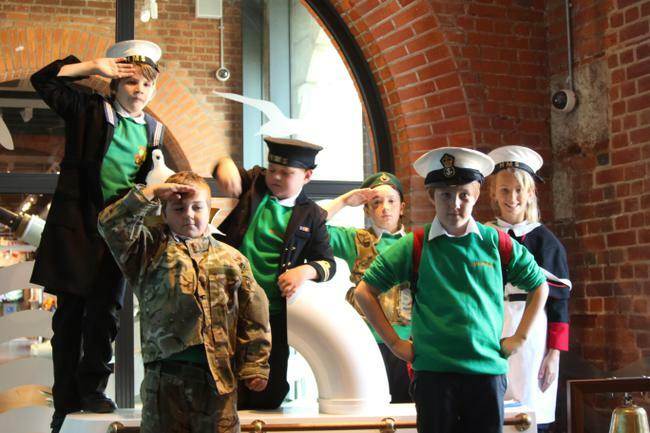 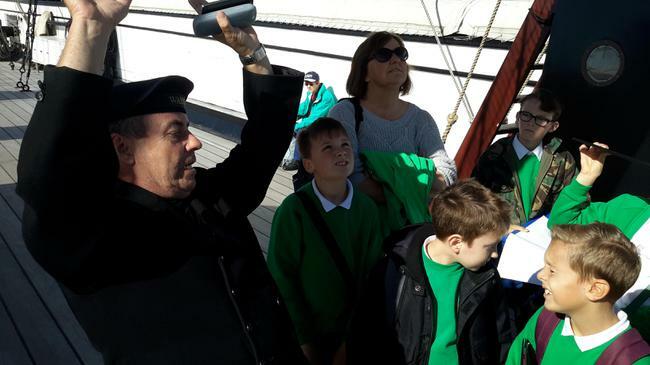 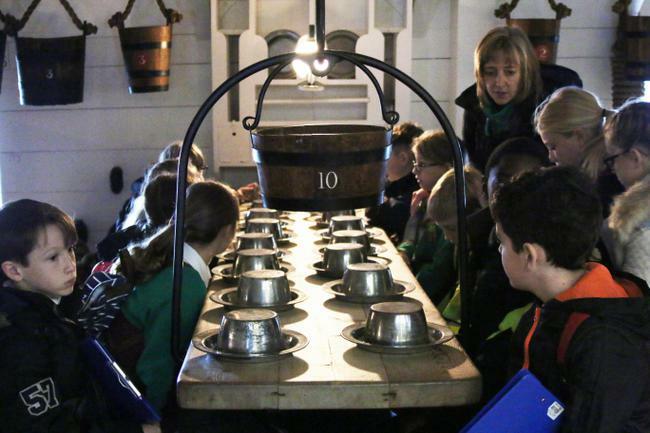 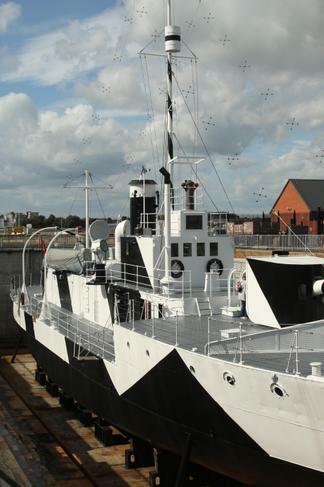 We all experienced life on board HMS Warrior and explored life in the Modern Royal Navy. 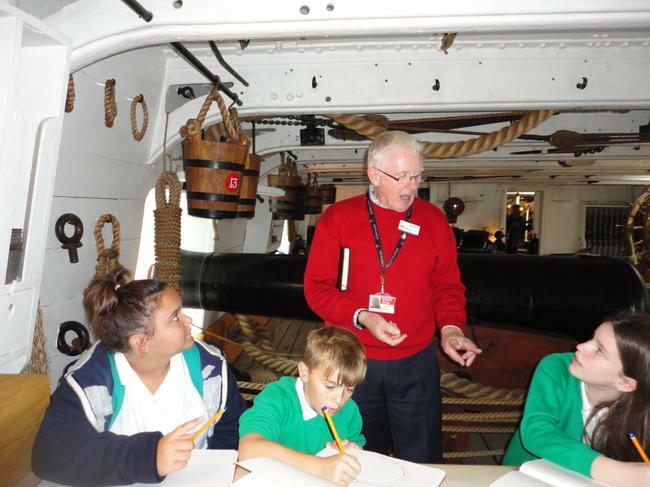 In addition, expert groups also focused on other specific areas of interest; Monday's group went aboard HMS Victory, building on learning in Y5, Thursday's group explored life aboard the WW1 monitor vessel, HMS M.33 and began to appreciate how how ship design and purpose was changing, whilst Friday's group took the Harbour Tour. 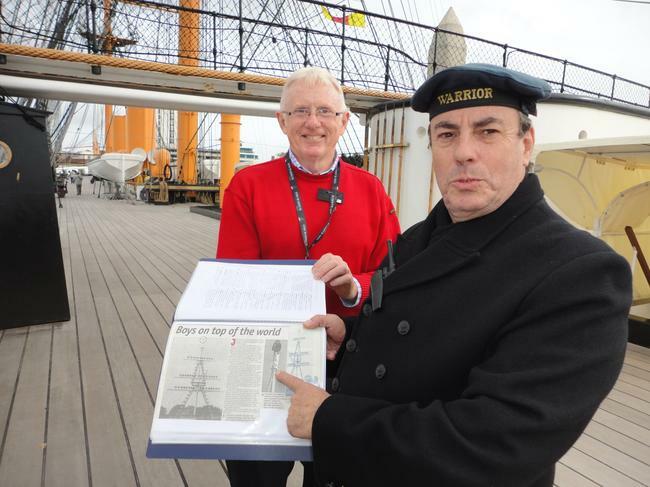 Luckily, the sun was with us and we saw a range of vessels in Portsmouth Harbour, along with adaptations that are being made to strengthen the quay to accommodate the new aircraft carrier, HMS Queen Elizabeth. 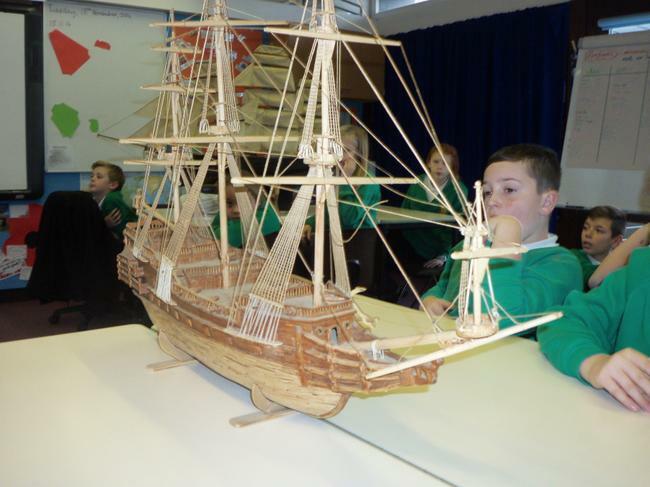 We learned that this new ship will be around three times the length of the carrier HMS Illustrious that we saw docked; at a staggering 284m long, it will be almost the length of three football pitches! 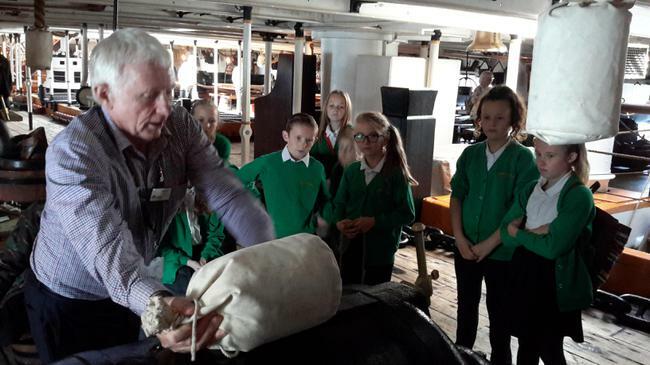 Bob, one of the Warrior Visitor Guides, explained how the 68lb guns (cannons) were fired and Y6 became his gun crew! 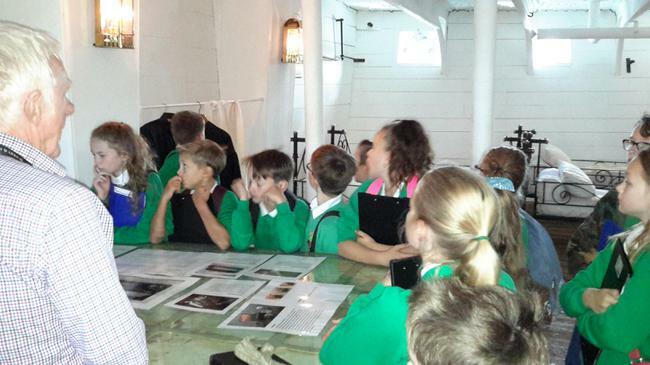 He was so impressed with our questions and enthusiasm that he took us to an area not usually open to the public, HMS Warrior's operating theatre, where we learned about Victorian surgery at sea. 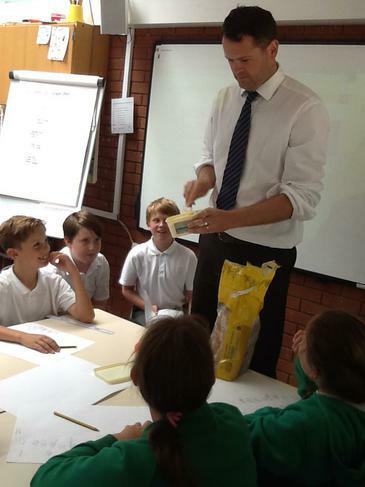 Did you speak to this man on your visit? 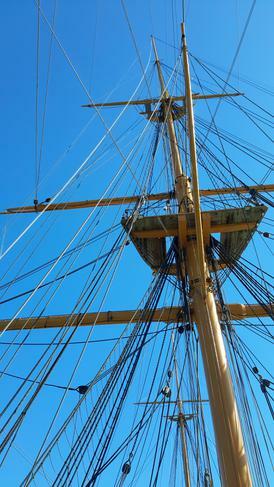 What was his famous connection to HMS Warrior when he was just sixteen years old? 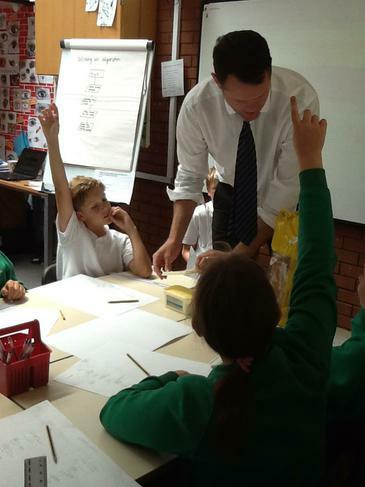 Y6 had our first Maths Workshop this morning. 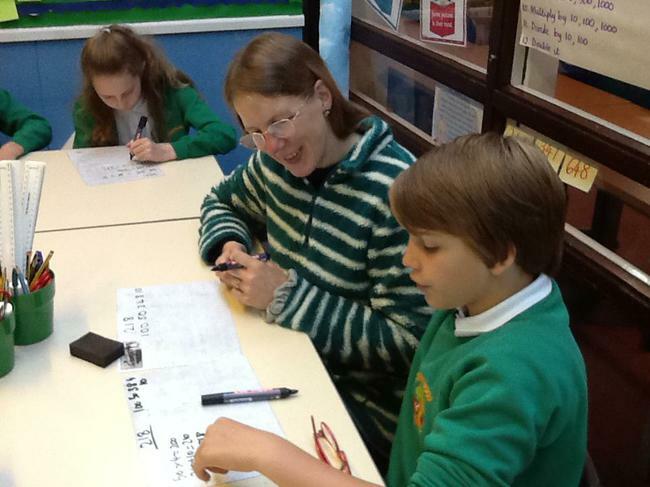 Many thanks to all parents who joined their children to support their maths learning. 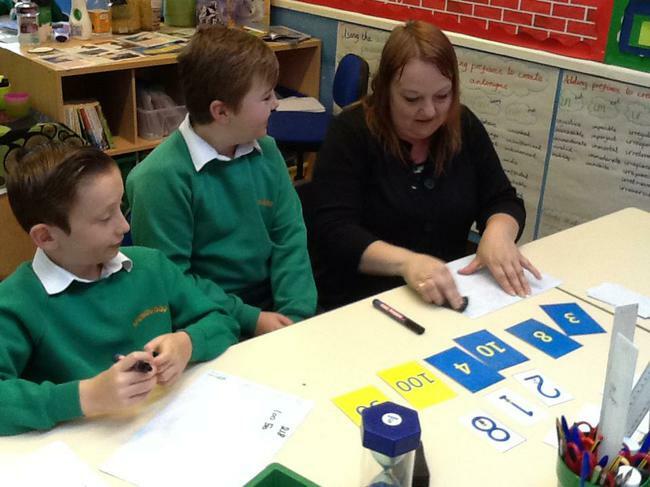 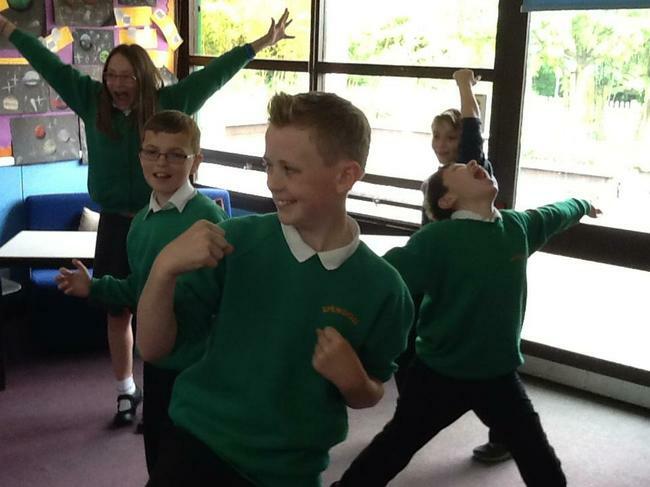 One mum said, "I would like to comment on the first maths morning session in Mrs Jones' Y6 class. 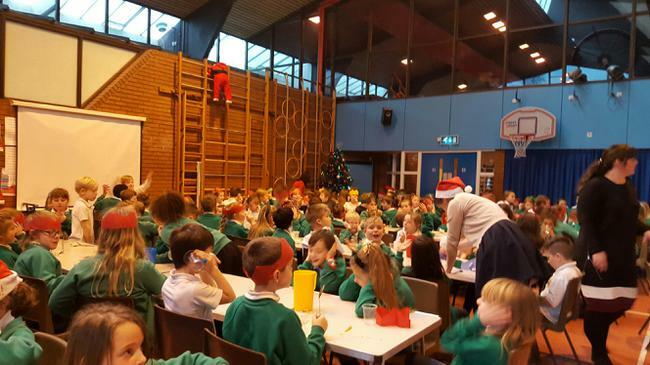 The session was very entertaining with all the children really enjoying themselves and the parents being able to join in as well with their children. 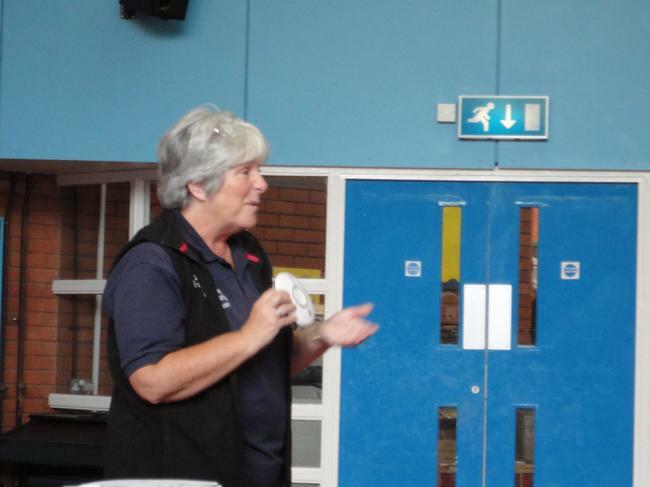 Mrs Jones was very helpful and interacted with everybody. 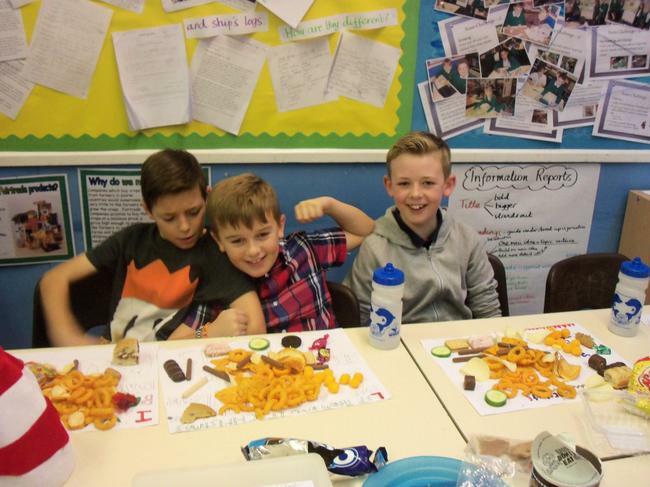 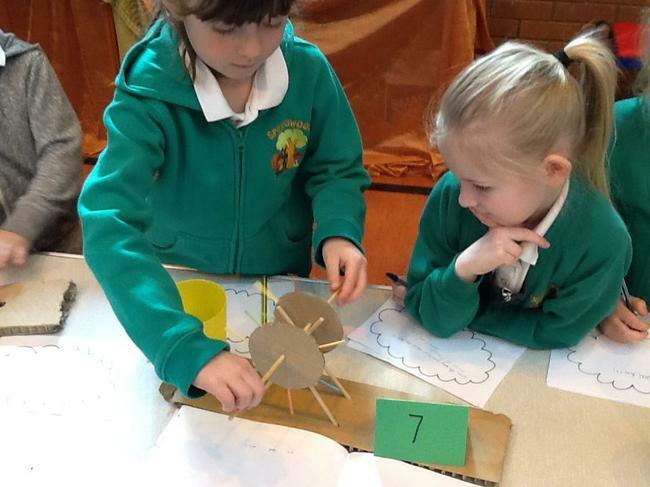 I found it very relaxing and enjoyed every moment of it and will continue to come to every maths session with my child." 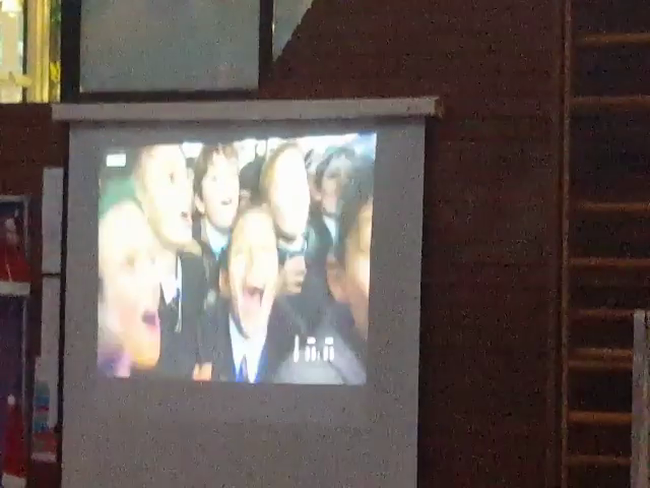 So, please join us next time if you can. 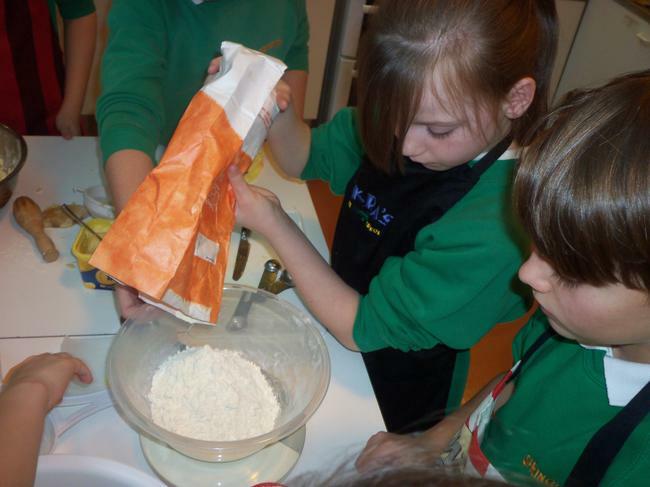 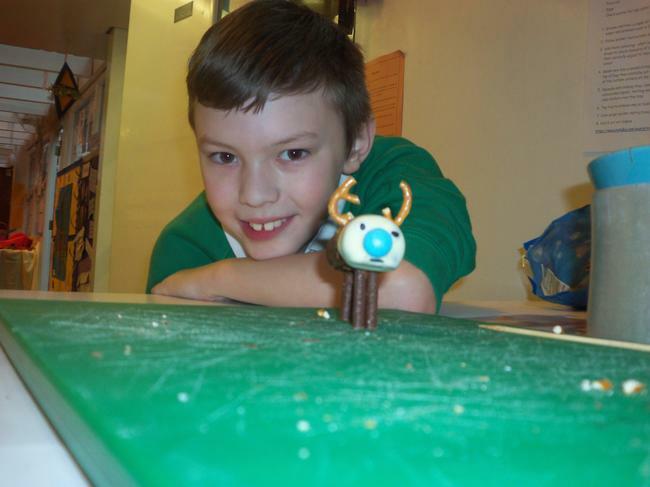 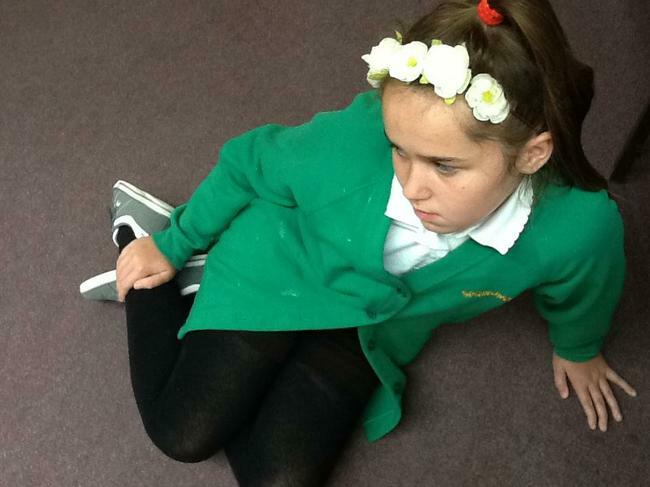 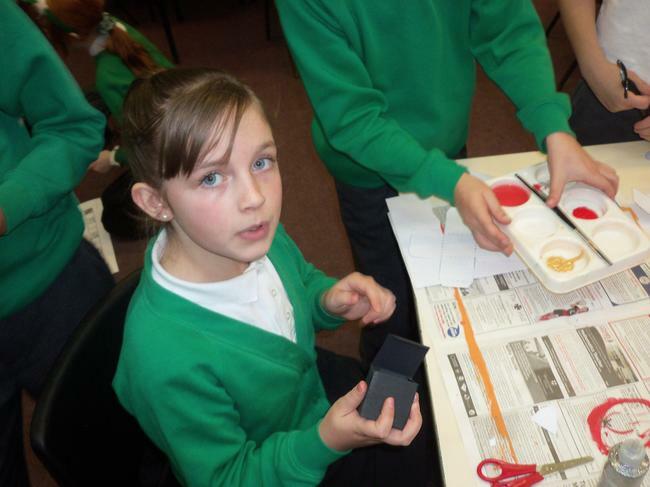 The aim is to give you an insight into what your child is currently learning in school along with practical (and fun!) 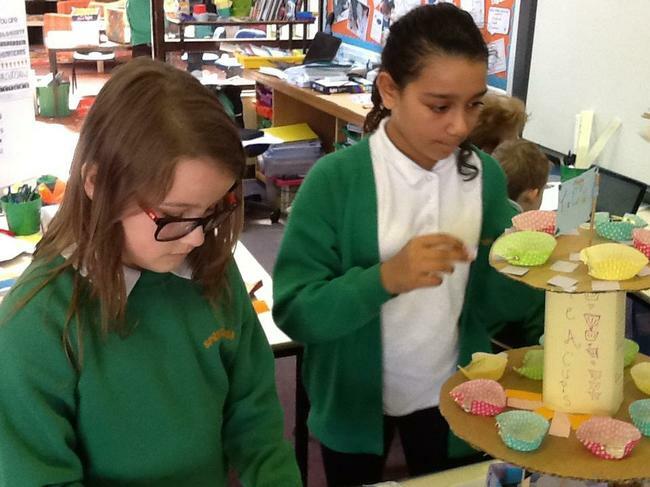 ways you can share, support and extend learning at home. 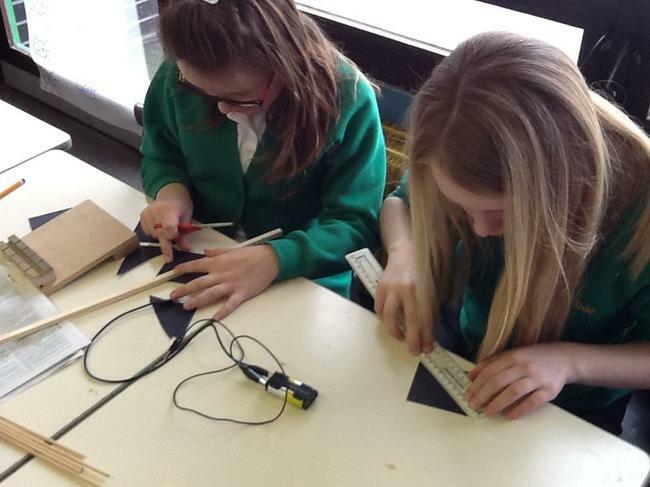 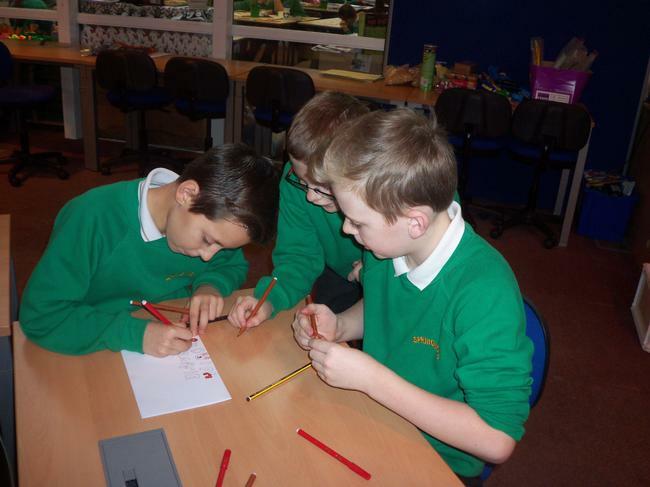 Y6 maths workshops take place every Friday morning, 8.30am - 9.15am. 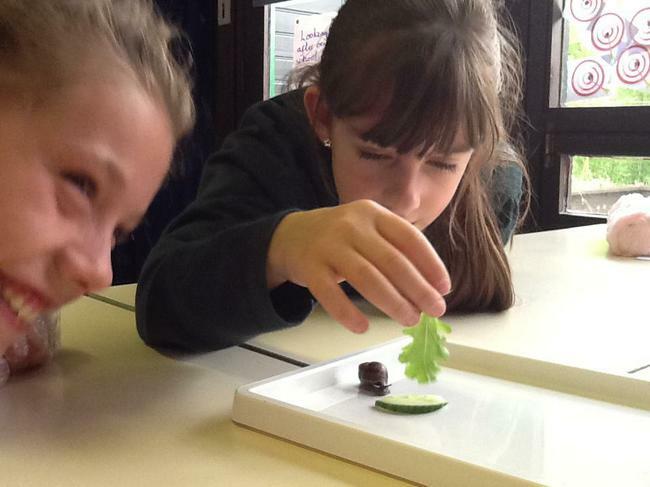 Welcome to Gastropoda (Slugs & Snails!). 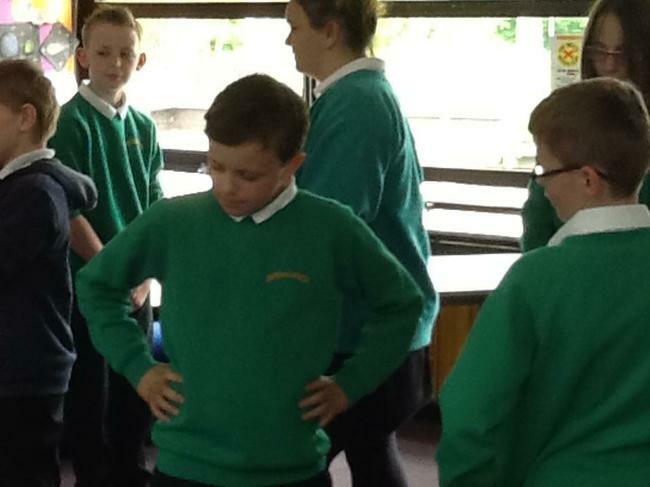 In our first week back, we've been following up on some of the many questions we generated on Transition Day, back in July. 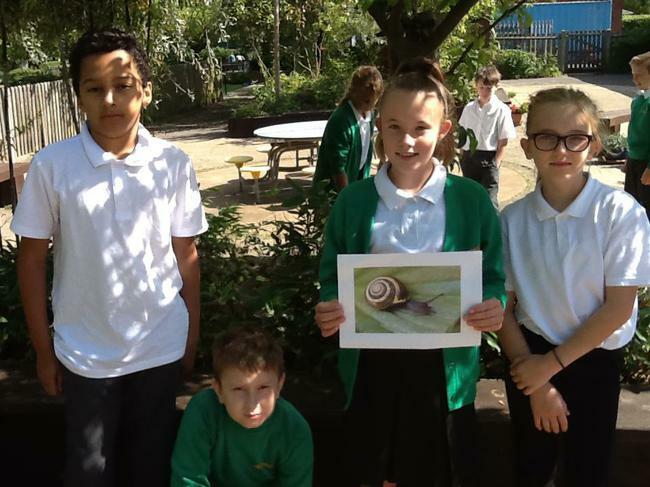 Abbie's question was, "How fast do snails travel?" 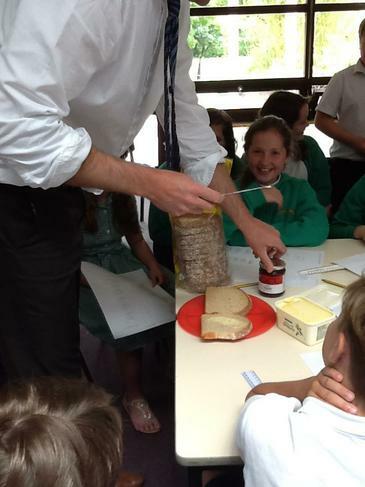 As scientists, we devised an experiment to investigate this. 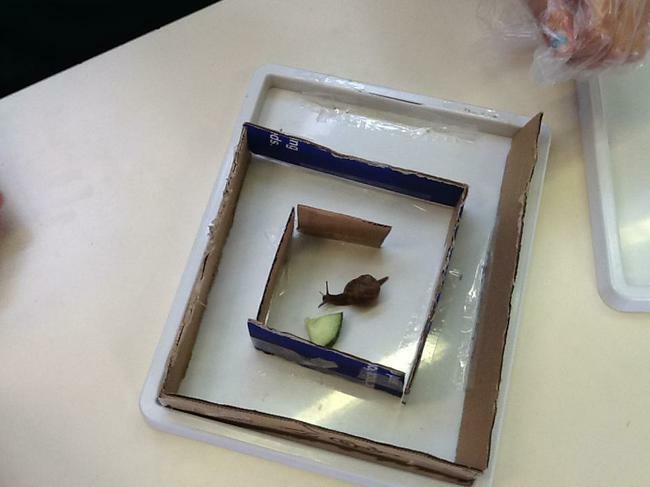 Our big question was, "How fast is a snail's pace?" 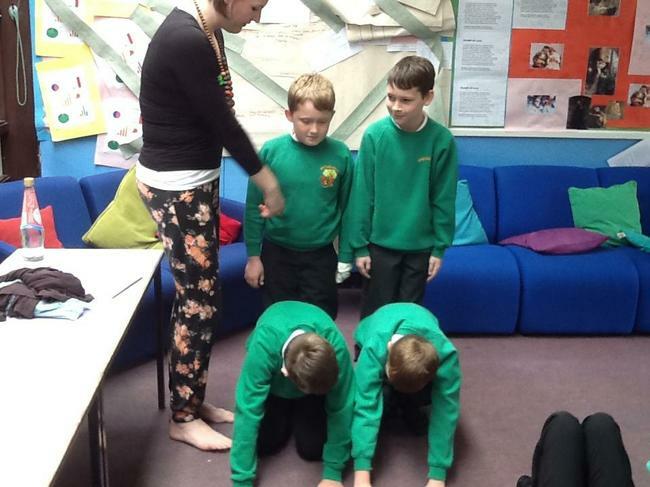 We agreed which variables we should keep the same, and which one we would change. 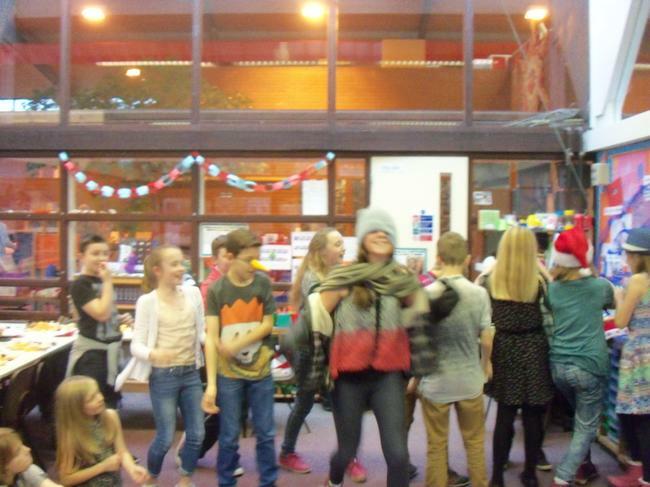 Then the fun began! 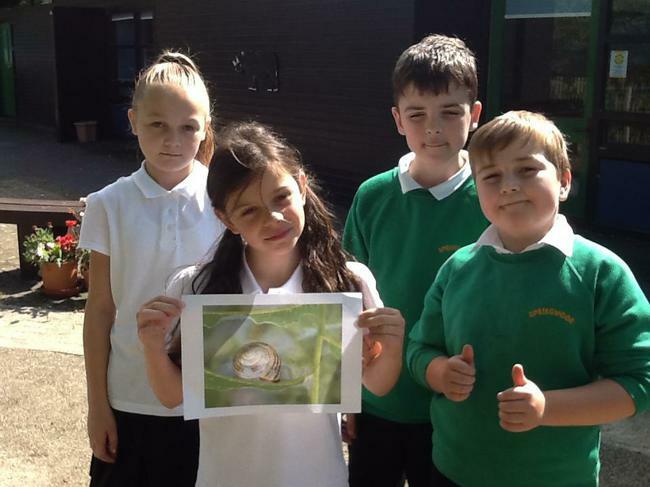 We promise no snails were harmed in the course of our investigations and we all washed our hands very thoroughly afterwards! 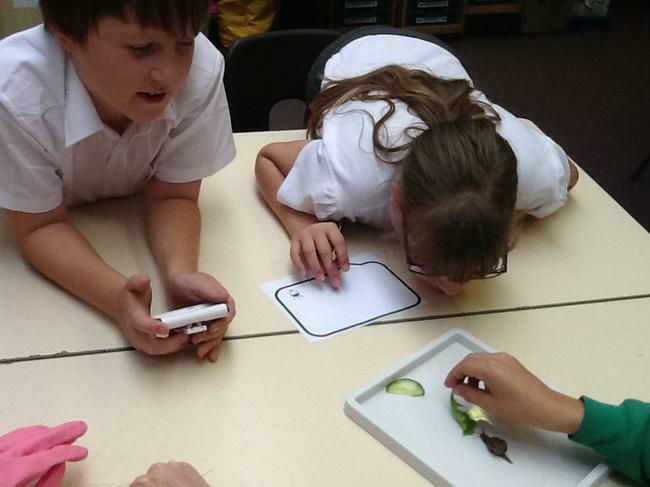 Ask us about snail anatomy too - Y6 are becoming snail experts! 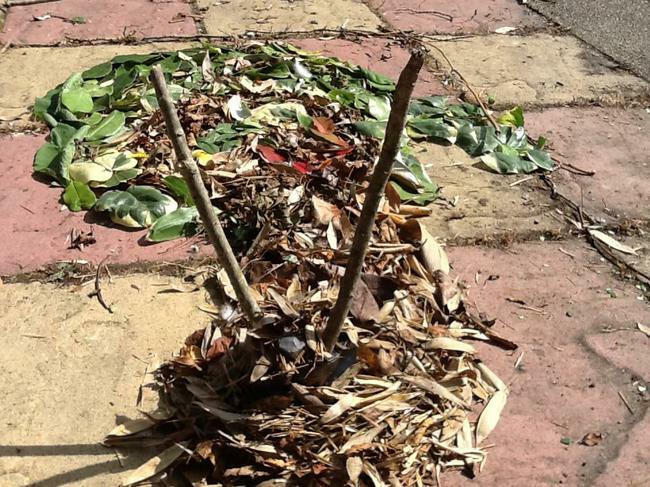 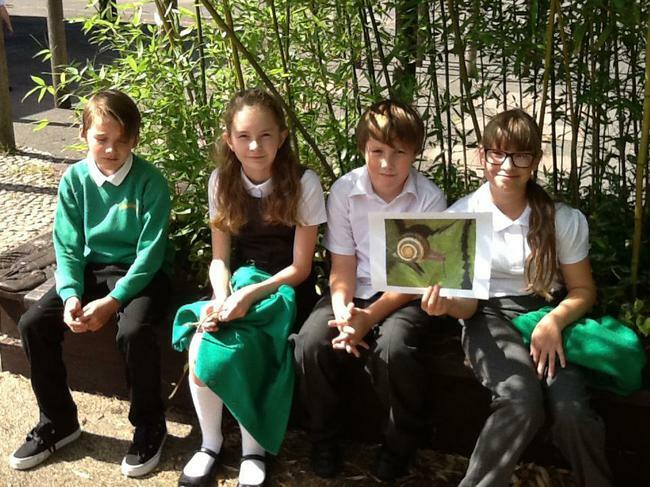 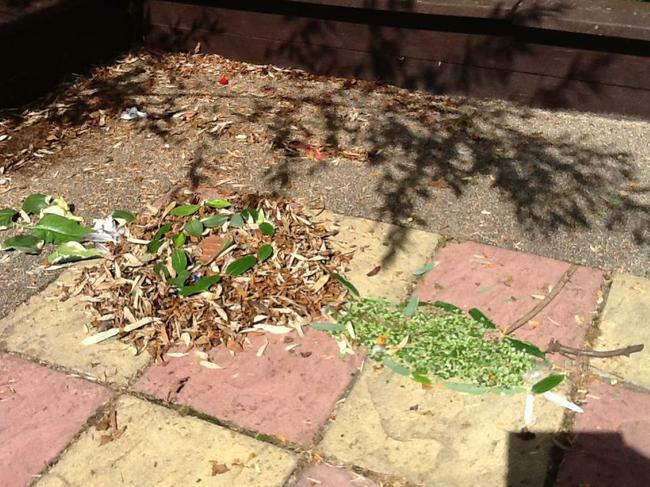 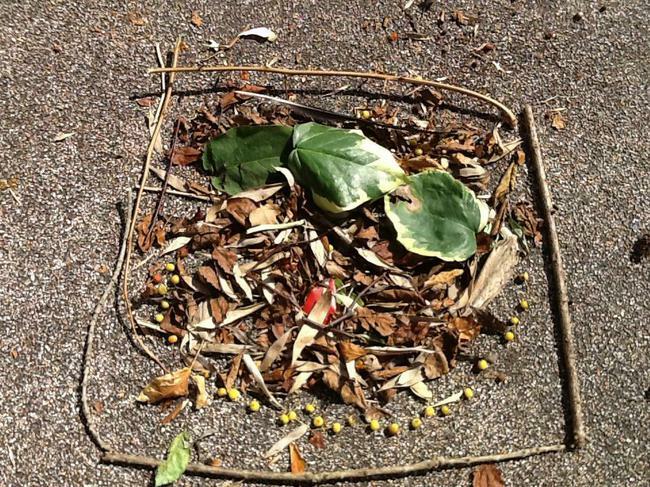 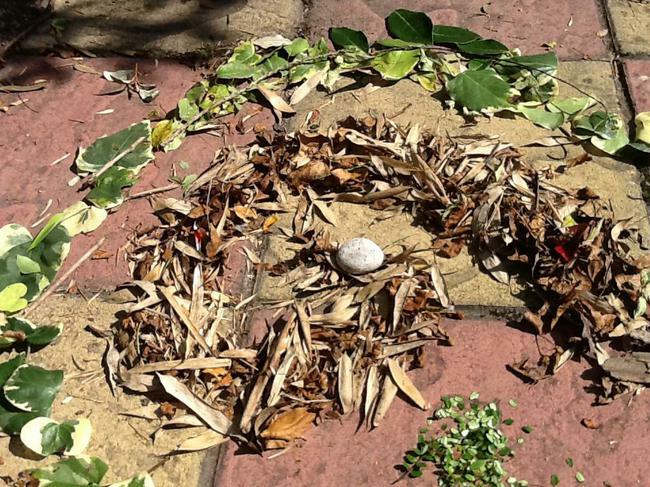 Teamwork and creativity were essential ingredients in our snail inspired eco-art. 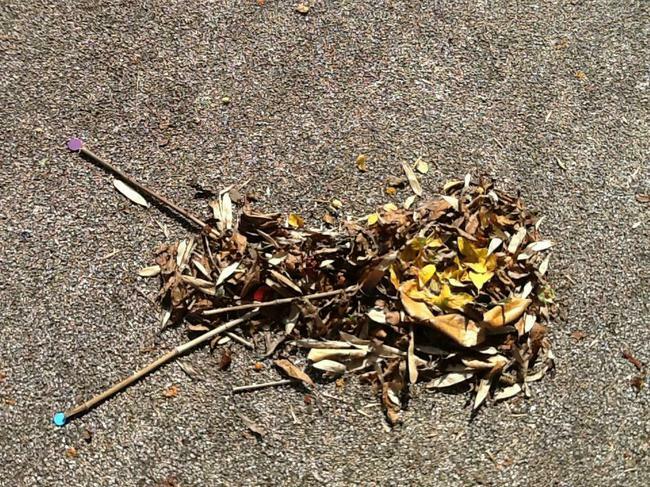 With just a simple image as a starting point, we scavenged in the vicinity of our classroom, collecting discarded leaves and twigs that we could use to interpret our mollusc. 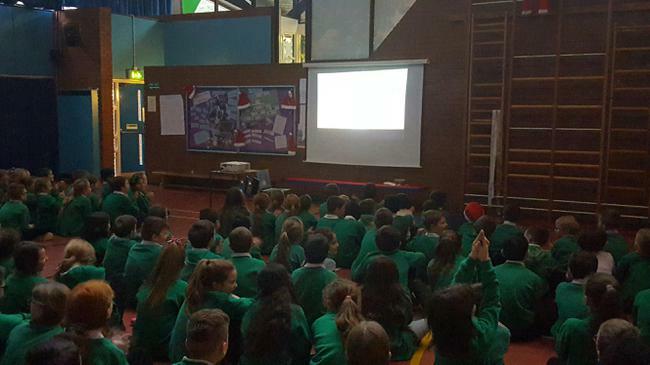 LET'S GET THE END OF YEAR SHOW ON THE ROAD! 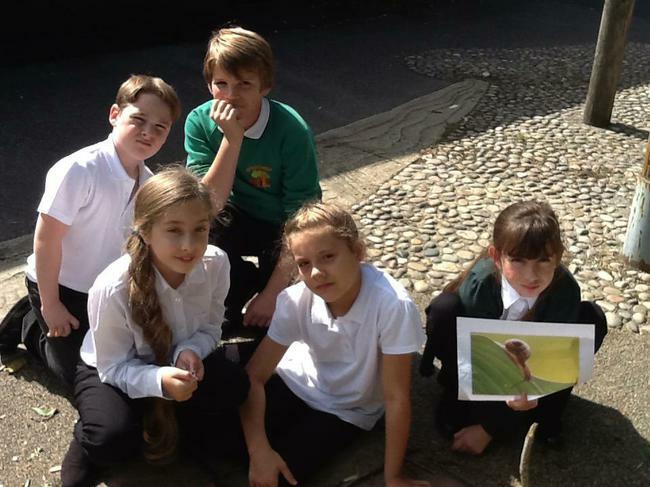 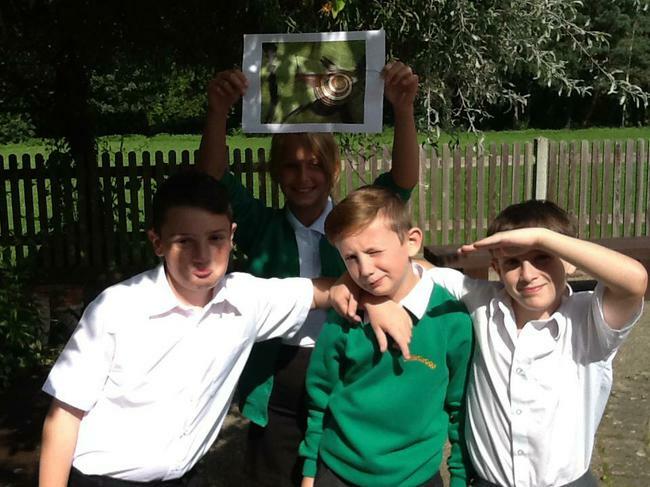 Y6 TAKE THEIR MATHS TREASURE HUNT OUTDOORS! 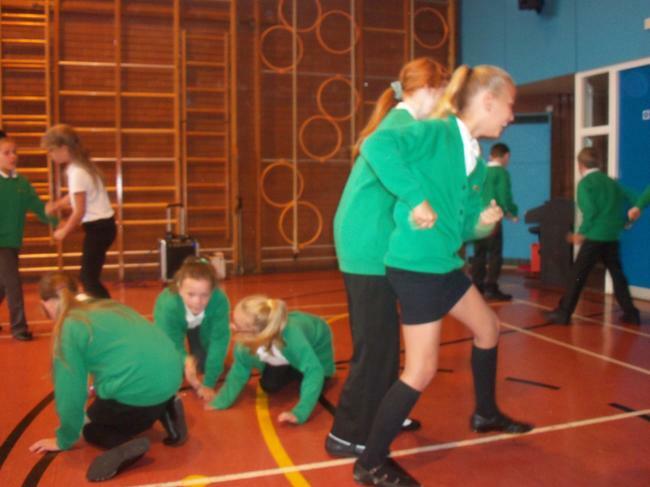 More teamwork as Y6 put their maths skills to the test! 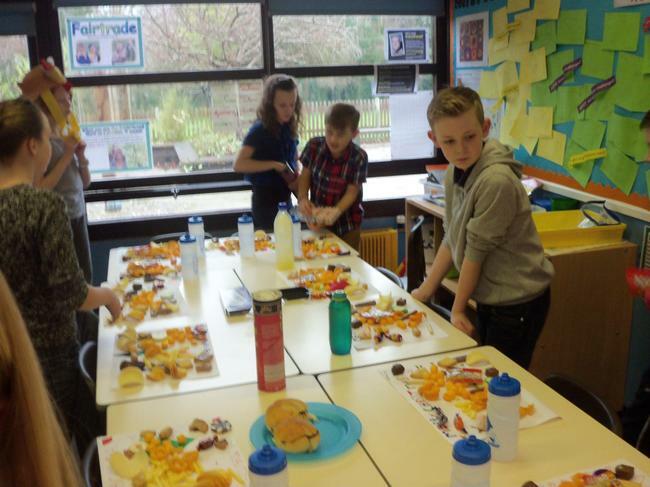 Thank you to the volunteers who also helped set up the trails at lunchtime. 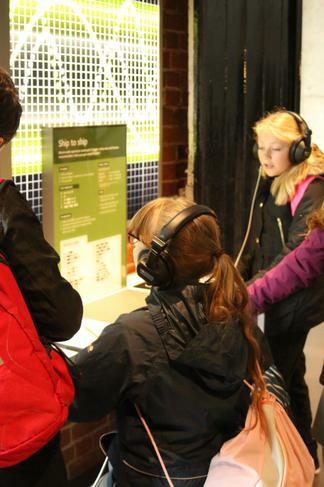 The FINAL EXHIBITION DAY AT LAST! 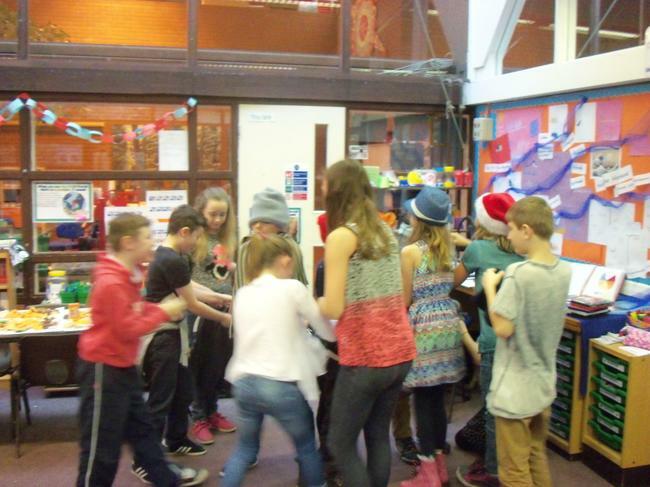 After a few last minute adjustments, and everyone pulling together to make sure we were all ready on time (it was close! 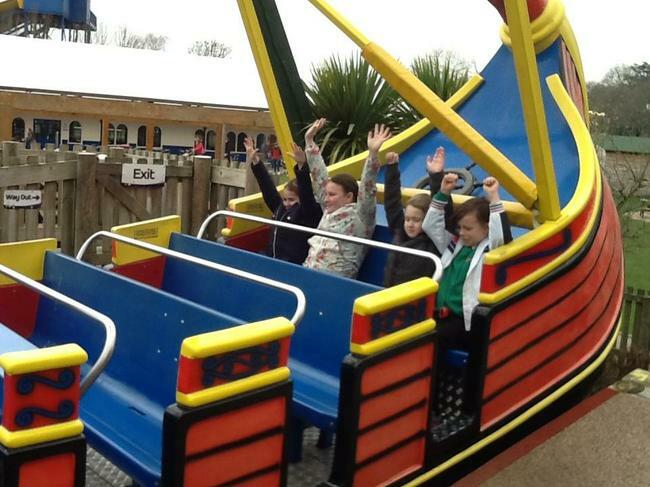 ), the excitement mounted as we prepared to showcase our rides. 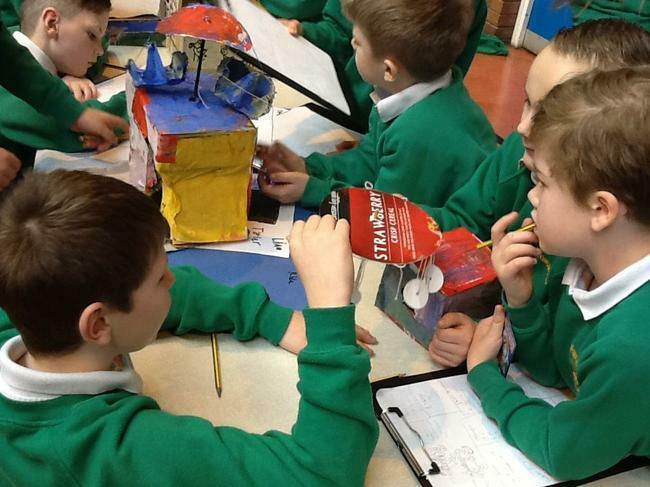 It was fabulous to see the ingenuity, creativity and progression from Year R to Year 6. 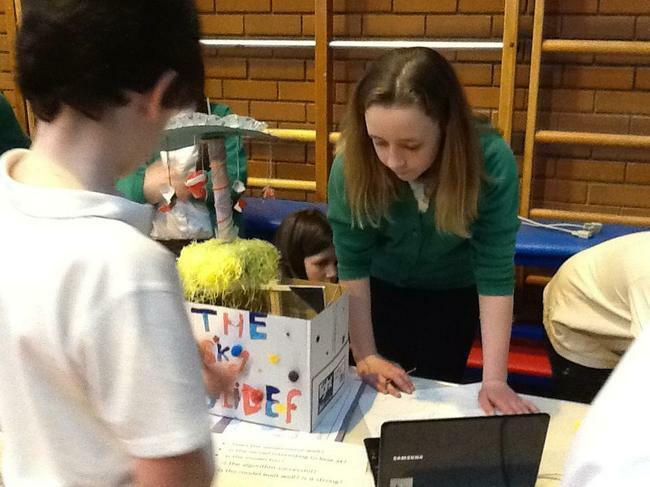 The hall was full of excited project designers, all eager to explain and demonstrate their models. 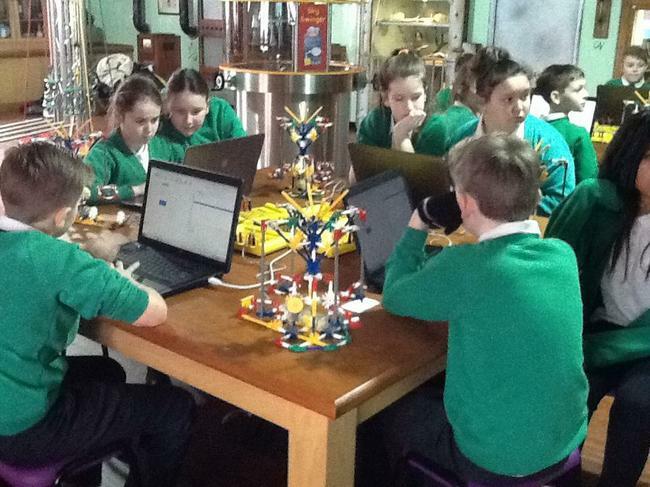 A huge congratulations to all of our design engineers - this was a truly inspiring event! 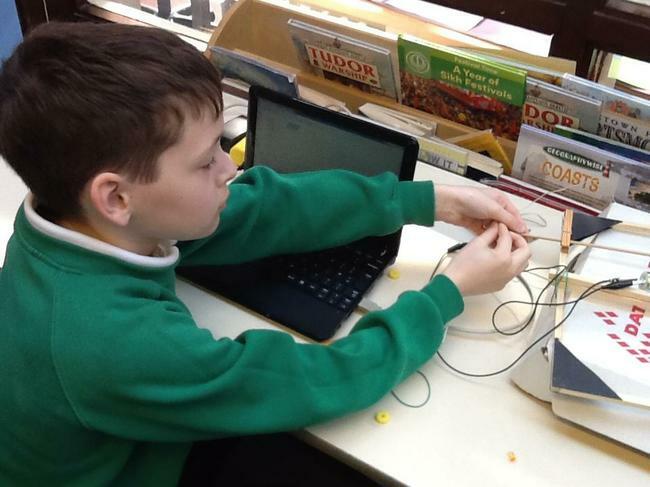 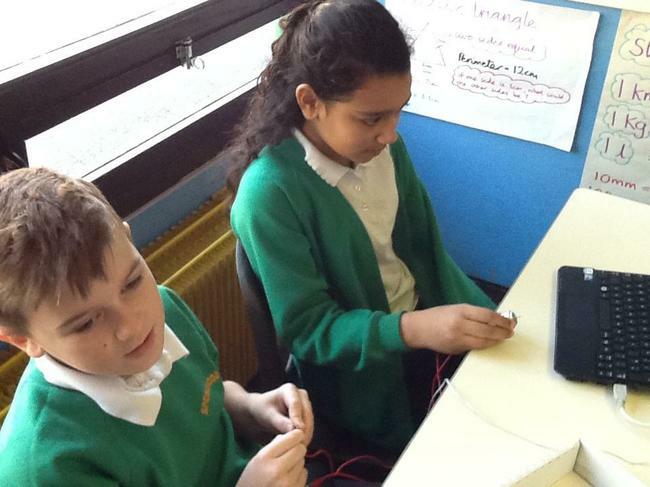 Well done to our Y6 experts who later took their control mechanisms to Y2 and Y5 to show their younger colleagues how this technology could be connected to and then used to control their rides. 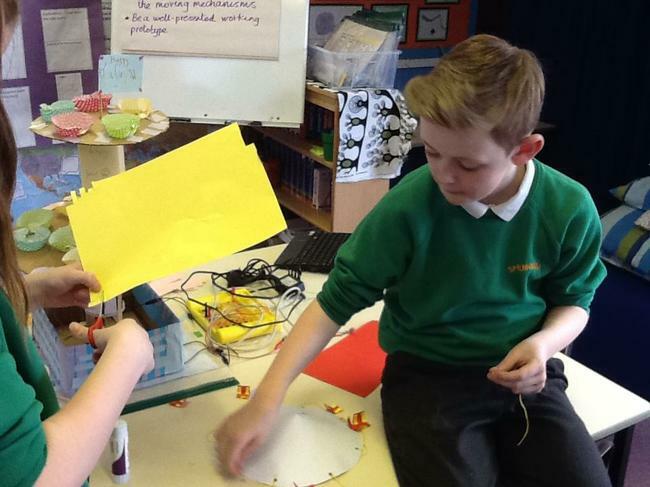 Back at school, we concentrated on applying our research and new programming skills to designing our own fairground rides. 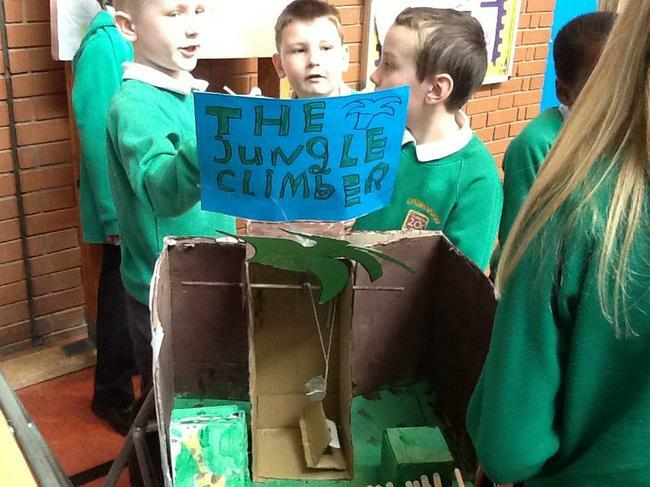 This was a whole school project and Y6's models had to have the 'wow' factor... We had to show off our new control skills! 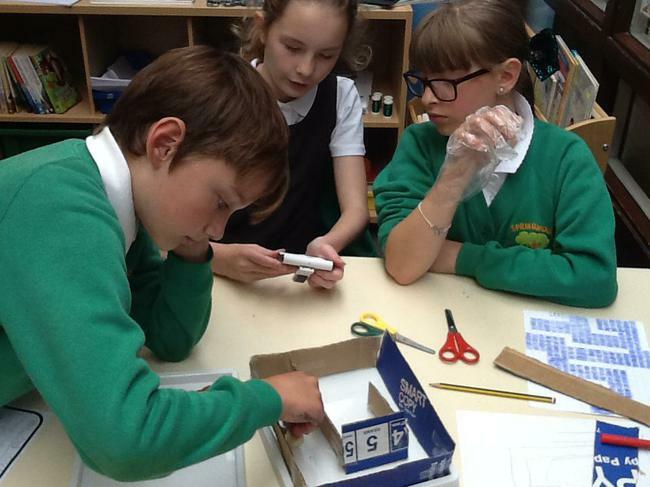 In small groups, we created prototypes and tried to anticipate design challenges and how we might overcome them. 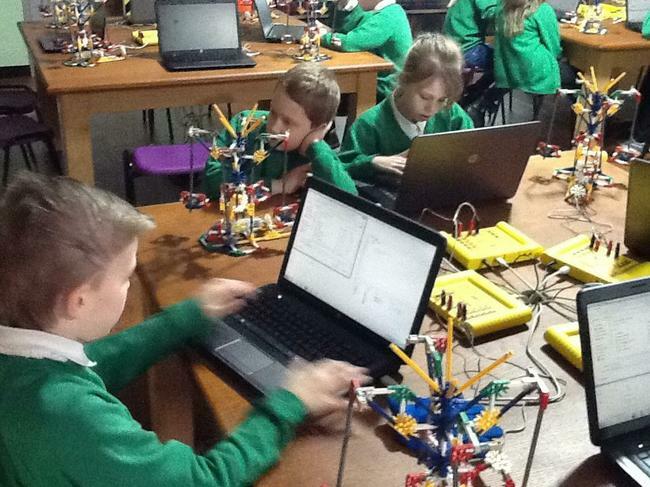 Then it was on to the builds! 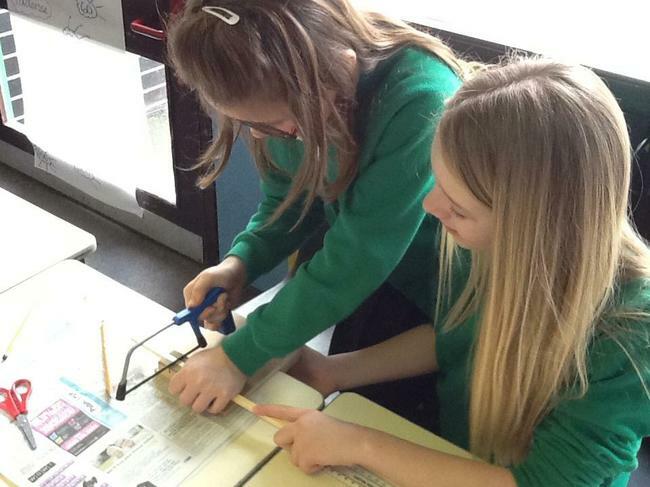 We needed a stable frame on which to mount our motors - precision and accuracy were crucial! 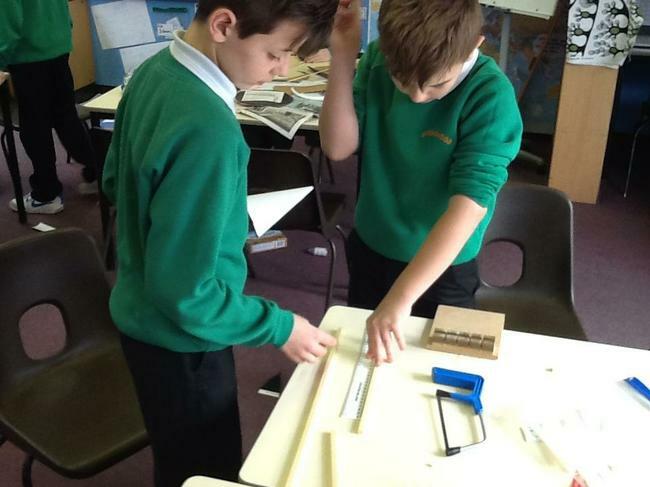 We used a range of tools and DT skills to build this important foundation for our rotating mechanisms. 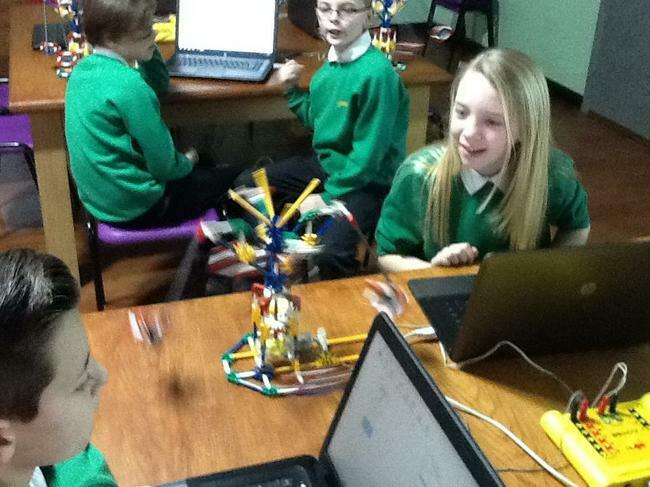 ... to writing, testing and debugging some complex algorithms to control their rides. 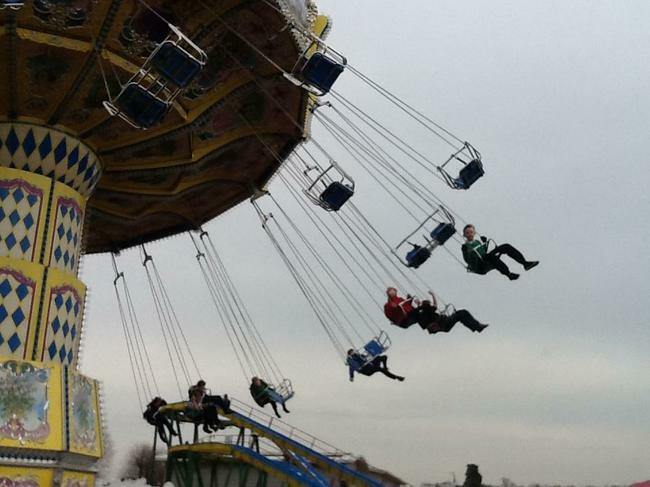 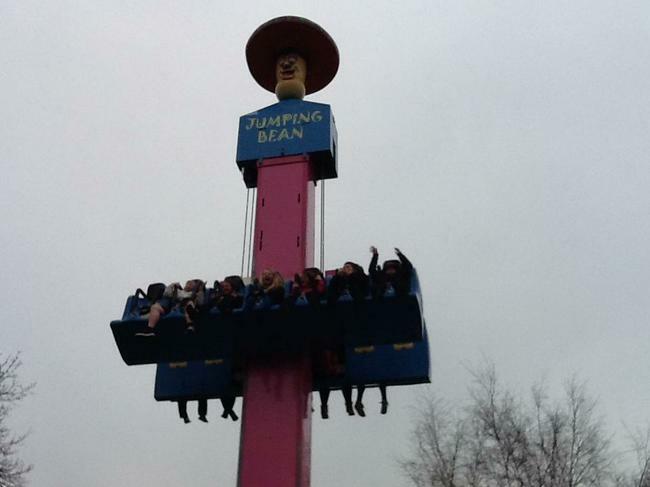 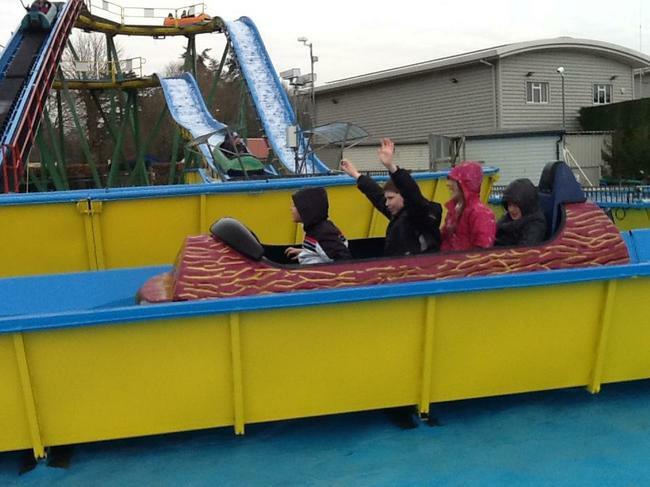 As part of our background research into fairground rides and how they work, we spent the day at Paulton's Park. 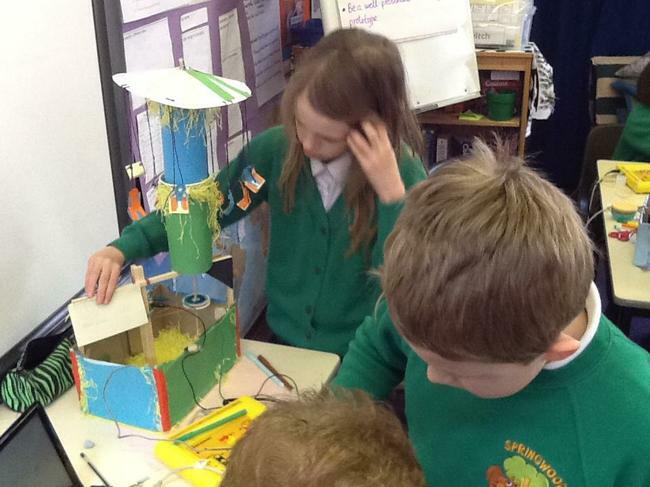 Taking a closer look at ride mechanisms, we gathered lots of ideas for our own. 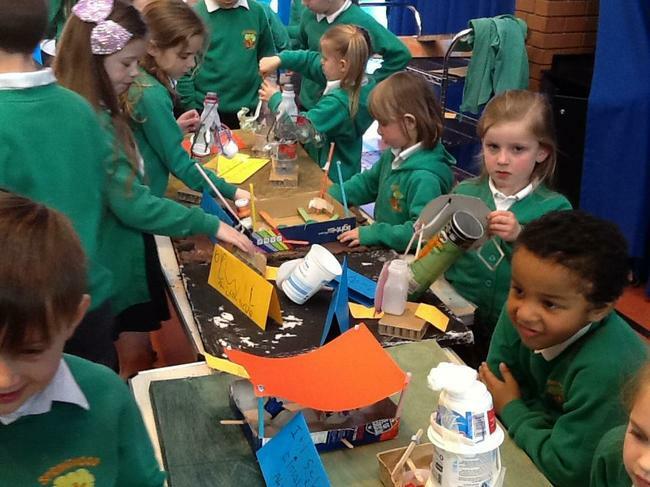 design projects. 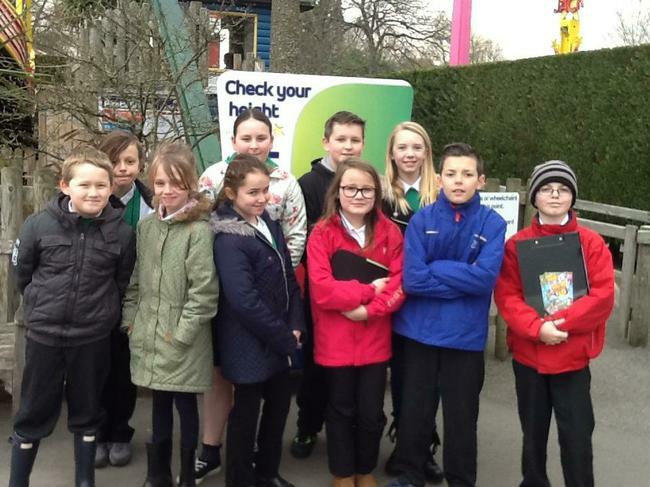 Experiencing the rides first-hand was all in our day's work! 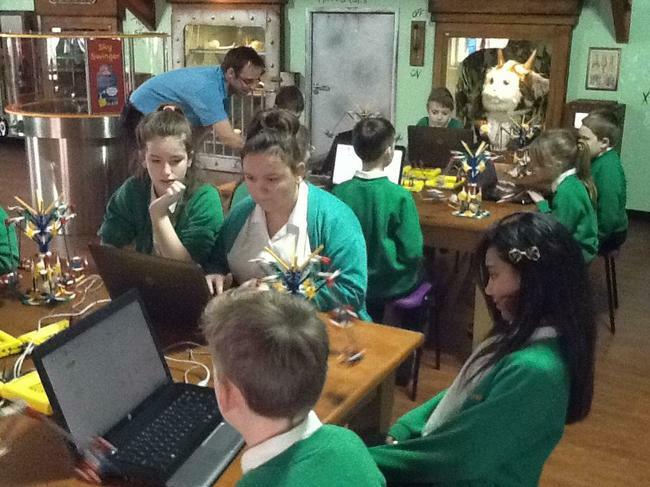 In the workshop, we quickly learned how to program a fairground model using computer software. 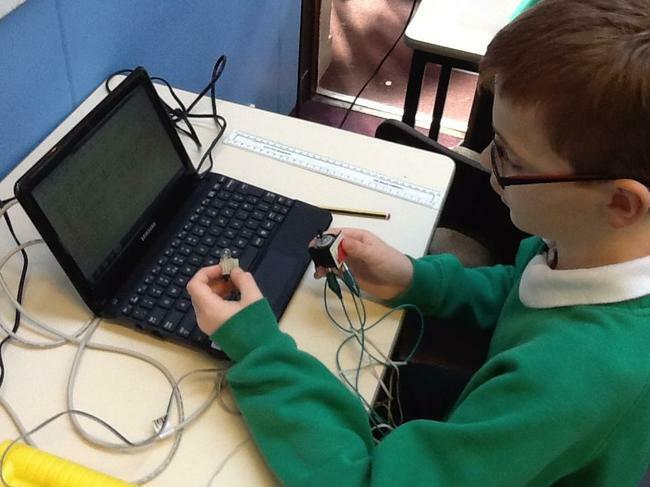 For the first time, we wrote algorithms (a detailed set of instructions) to control outputs such as motor speed and direction, lights and sound. 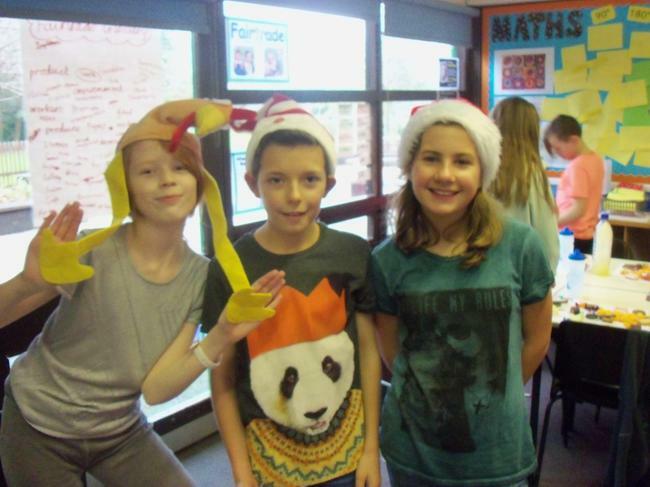 A Few Festive Hats (& T-Shirt) ! 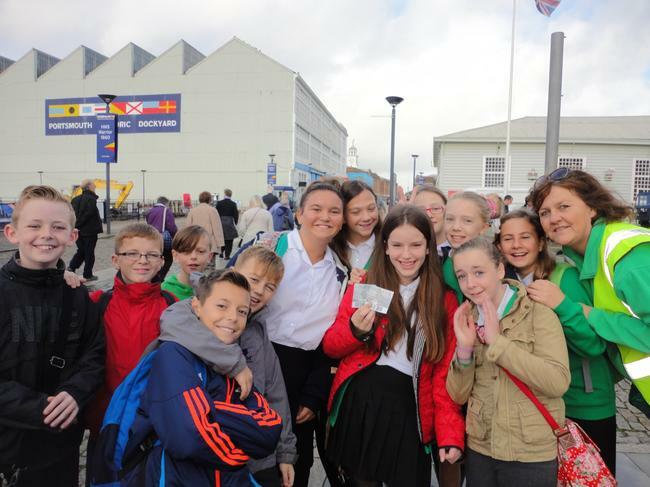 #1 - Greetings Your Majesty!! 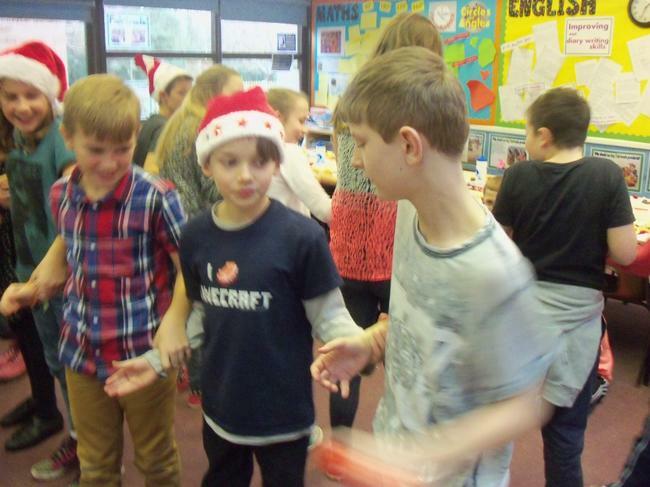 #2 - Pass the Bauble! 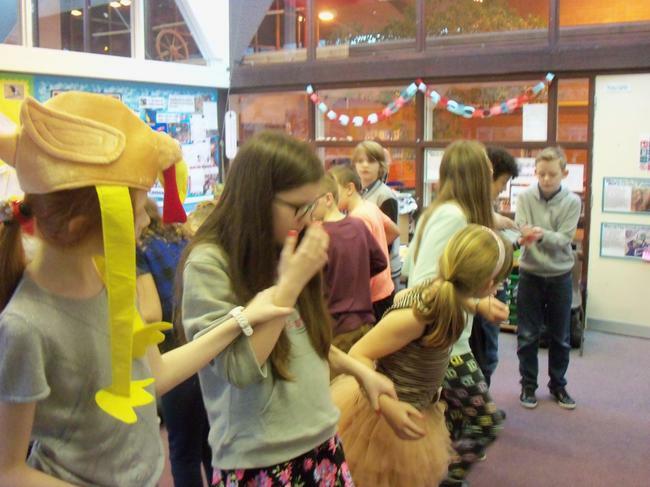 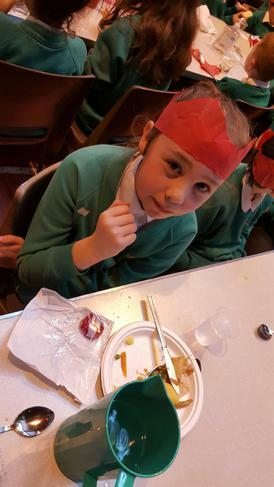 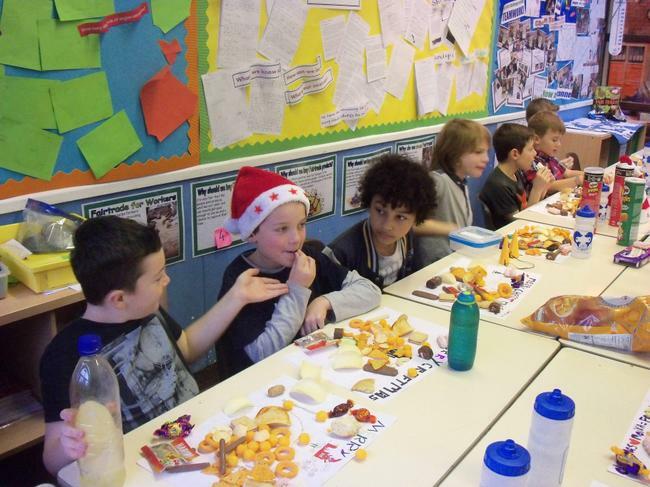 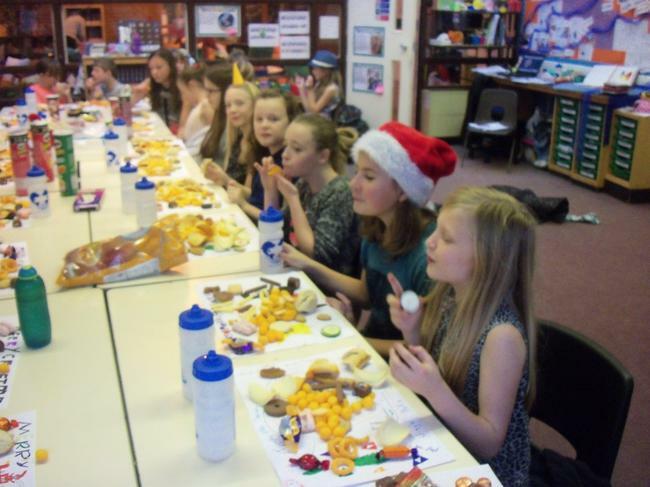 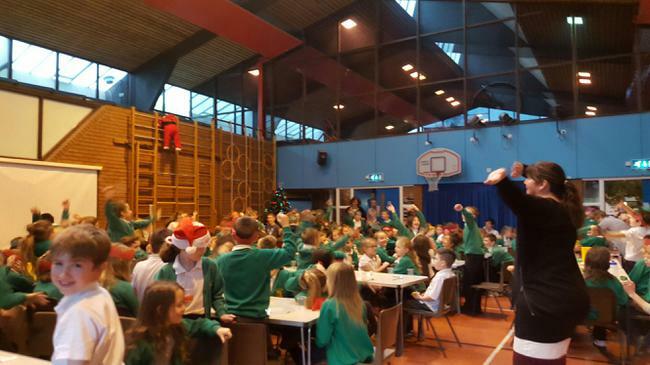 A big 'thank you' to everyone for all of your contributions to our festive feast! 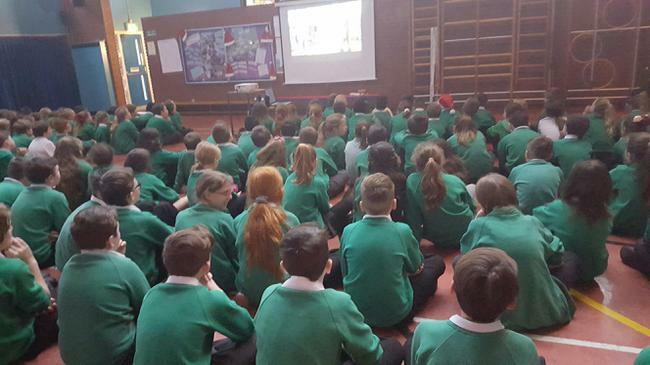 Towards the end of this term, Y5/6 learned about Fairtrade - what it is, who it affects and, as global citizens, why it's so important. 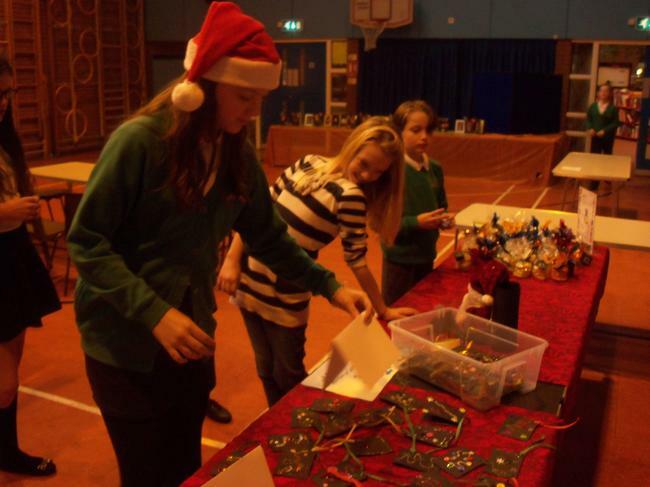 It was completely their own idea to have a stall at this year's fayre to raise money for this organisation. 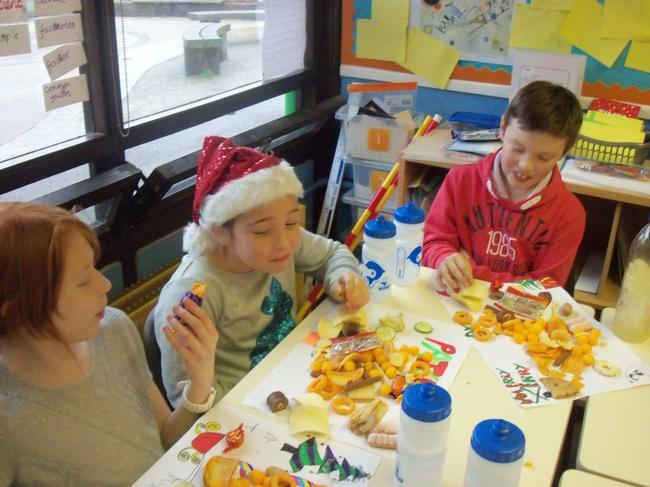 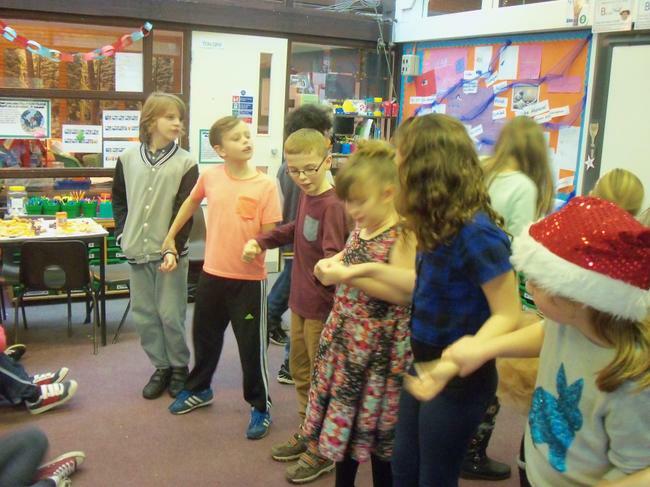 Everyone put in a huge effort in a very short space of time, creating gift tags, baking Fairtrade shortbread, making chocolate pretzels and creating our Rudolph raffle. 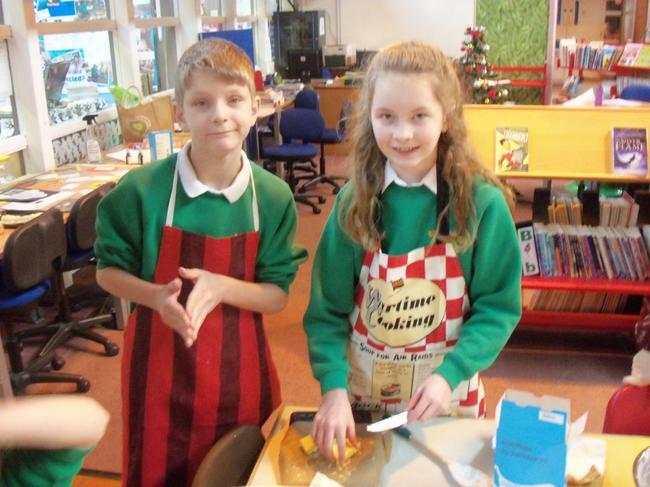 A huge 'well done' everyone and a special thanks to Mrs Gray for her culinary support and inspiration! 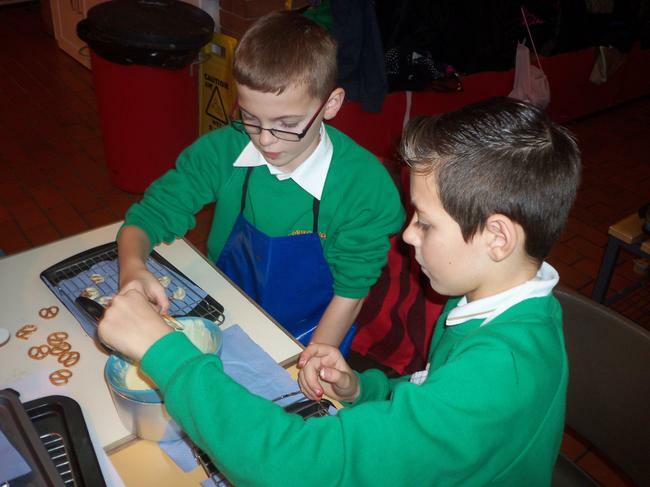 Our £25 contribution to Fairtrade will be sent off in January. 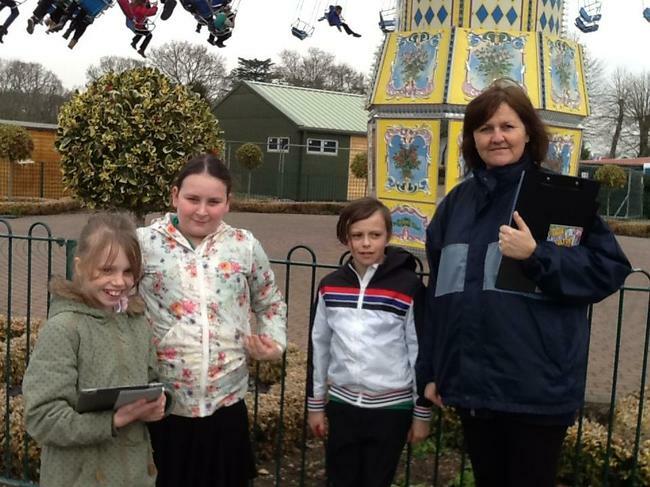 THE EXPLORER DOME LANDS IN SPRINGWOOD! 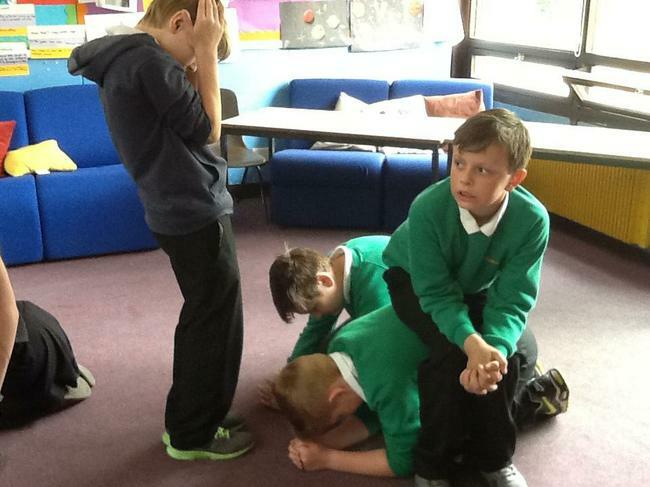 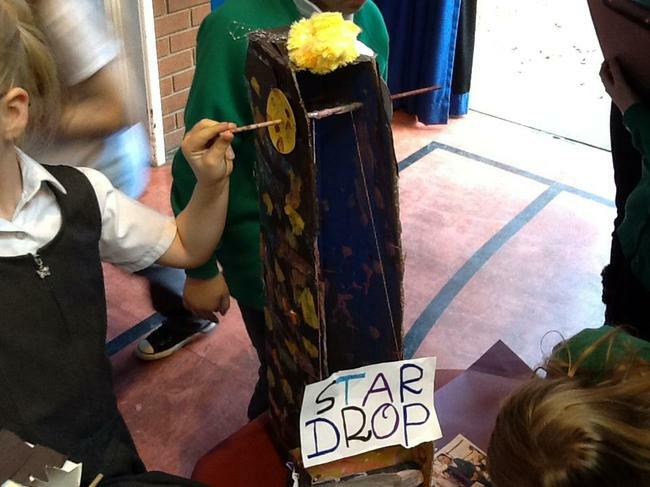 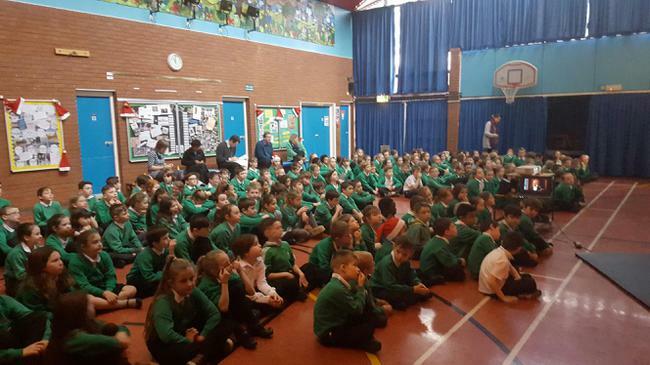 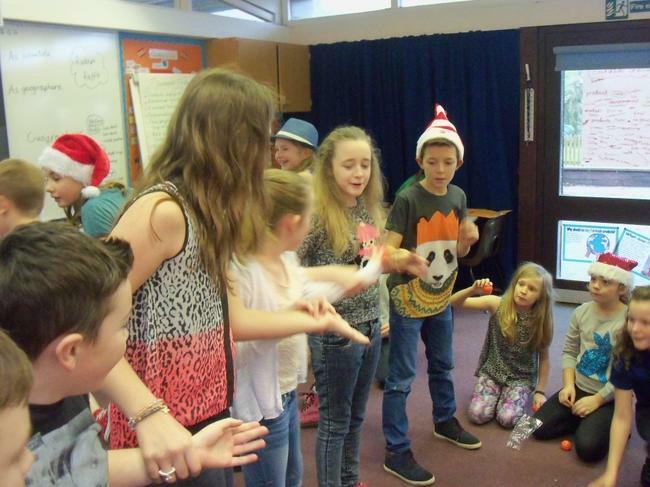 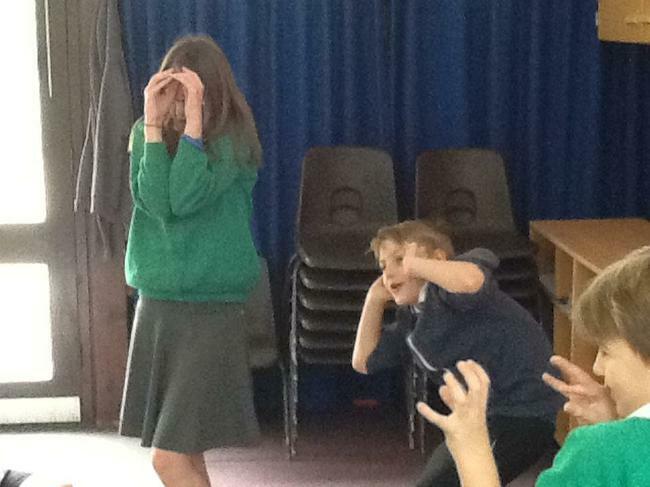 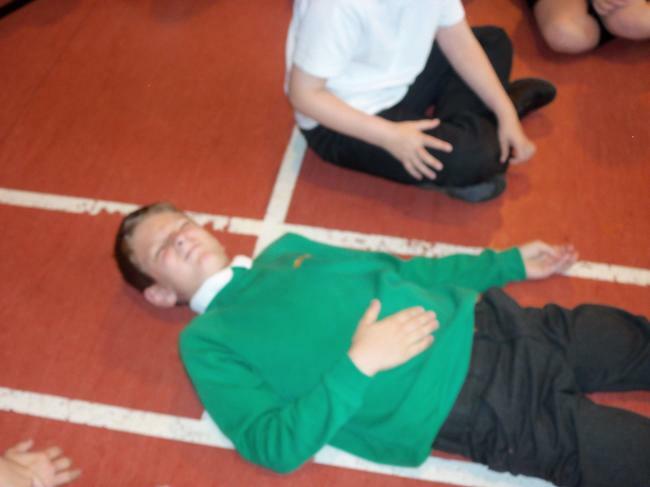 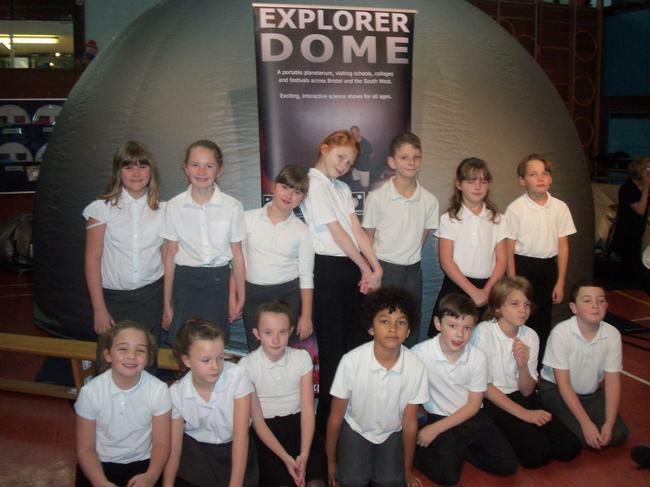 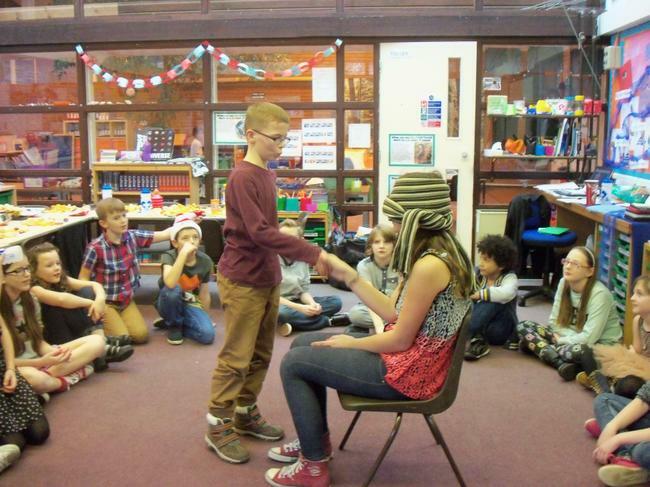 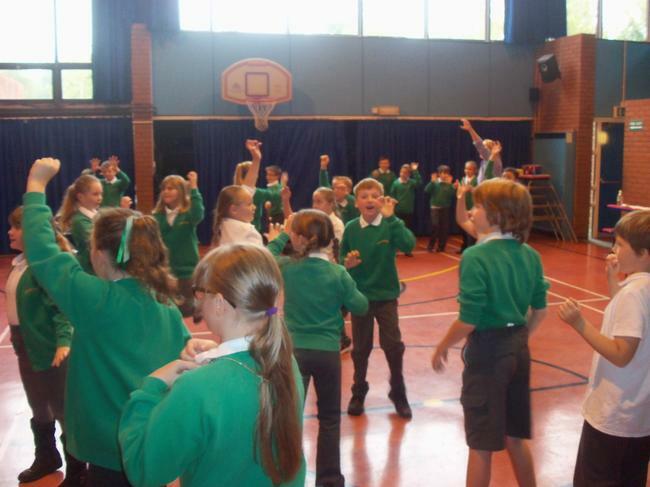 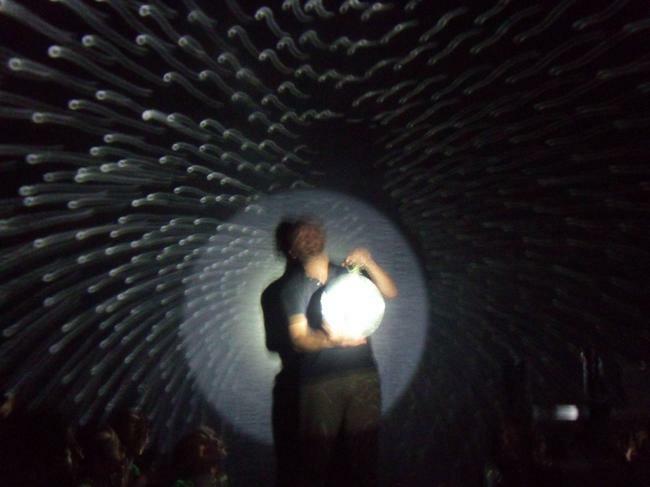 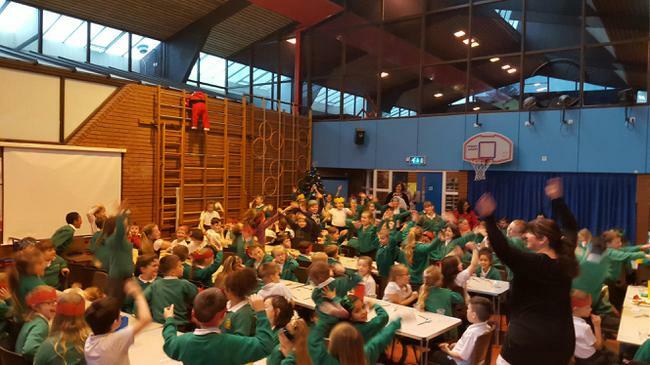 Y5 & 6 had an 'out of this world' experience when the Explorer Dome visited recently. 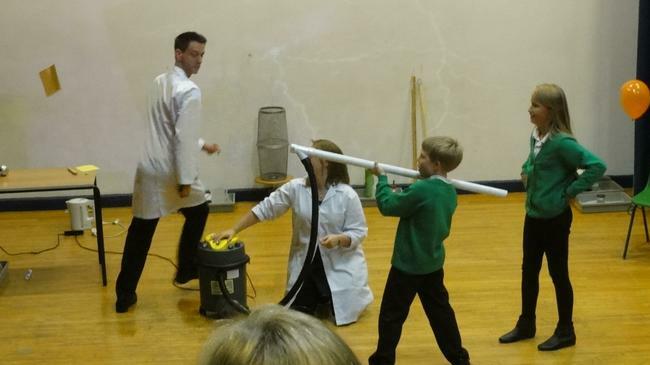 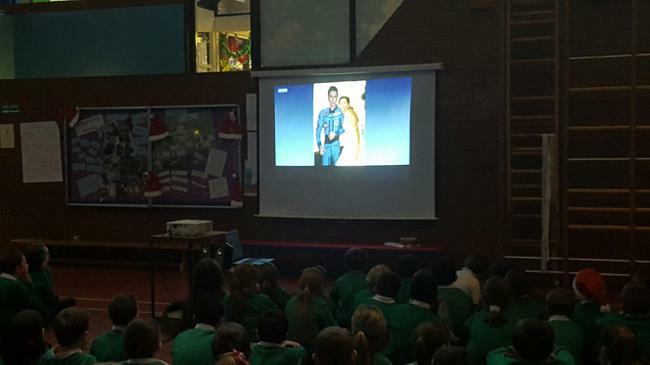 Our thanks to Ben and Caz for sharing their expertise and bringing our science topics of Light and Space to life. 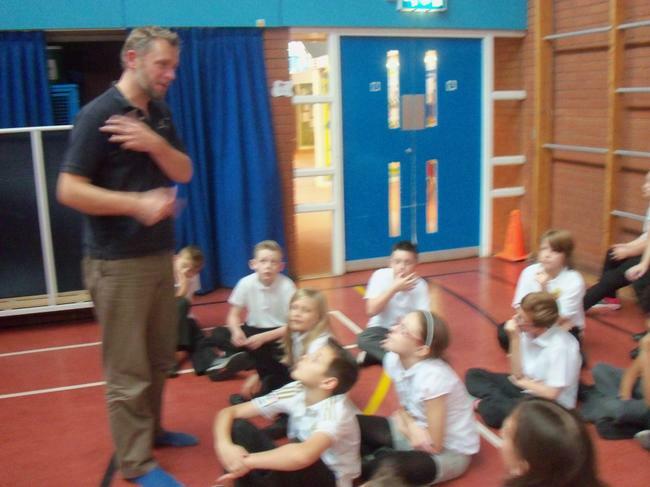 They were staggered by how much we knew too and were amazed by our many questions! 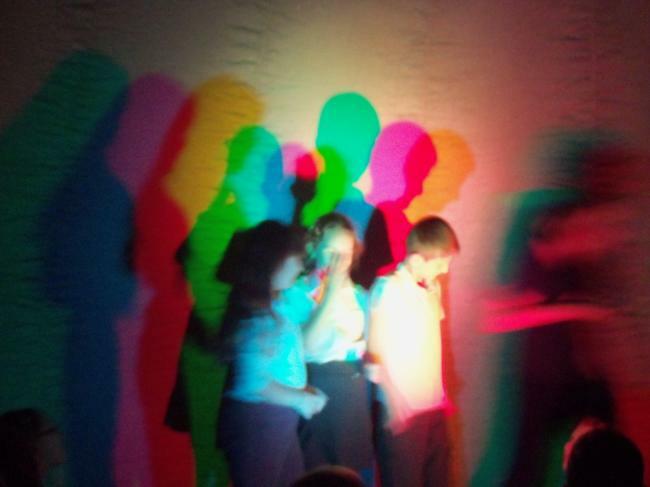 How did we make those coloured shadows? 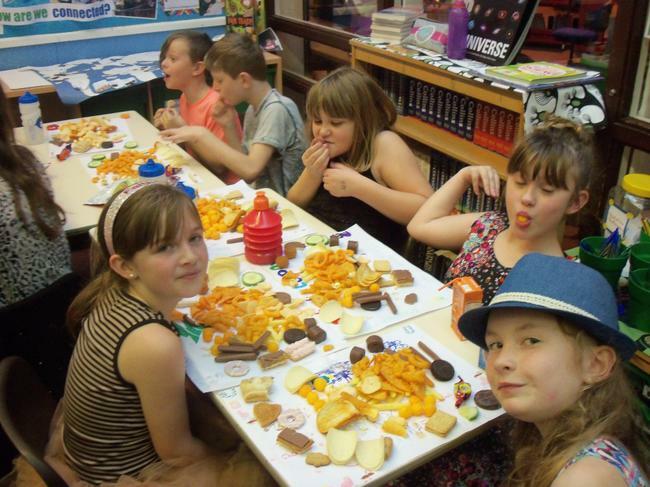 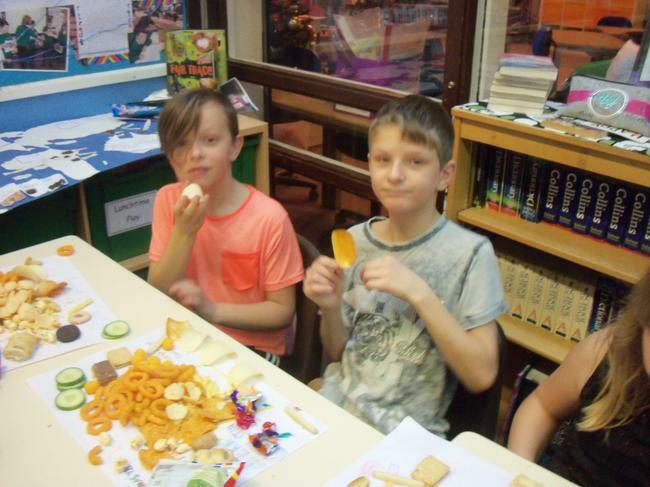 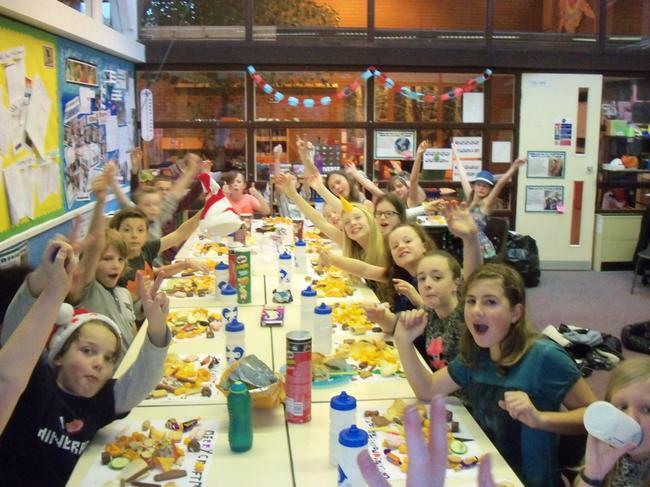 Thanks to all of Y5's special guests who came to our 'Star Party' in the evening. 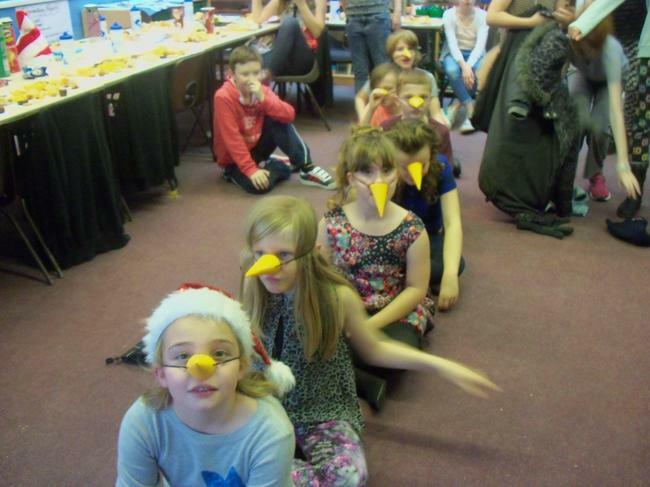 Can you believe a staggering 90 people attended? 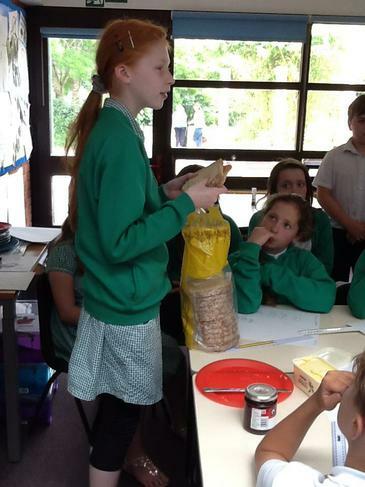 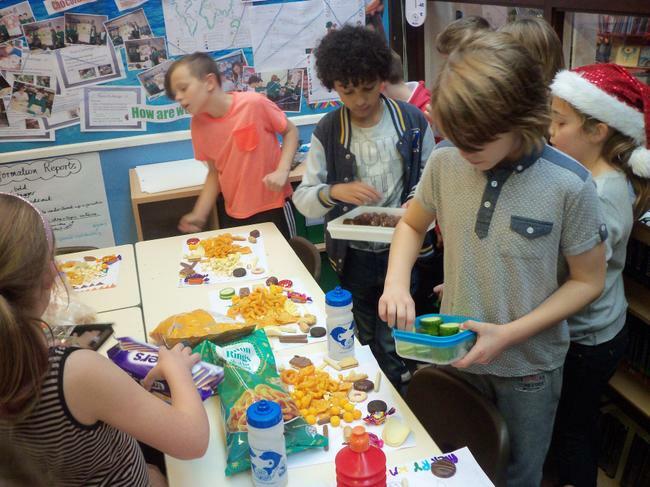 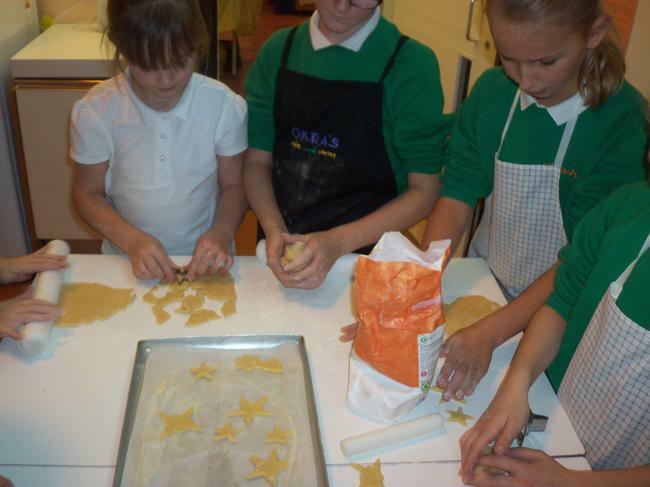 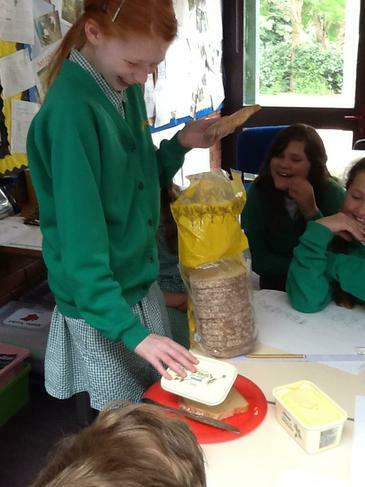 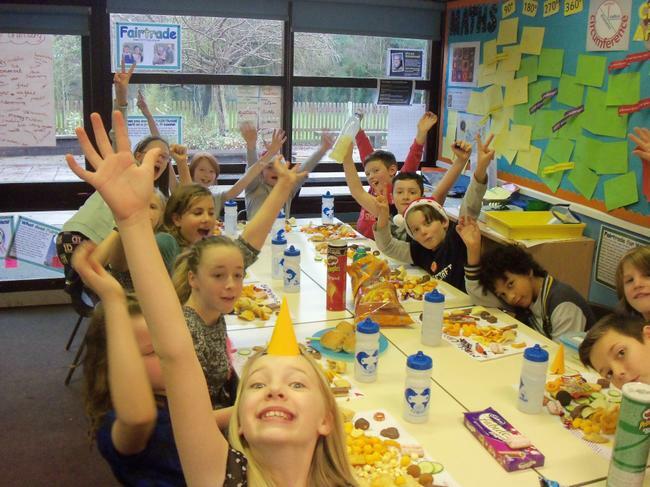 Luckily, Y5 had baked plenty of intergalactic cake and cosmic cookies. 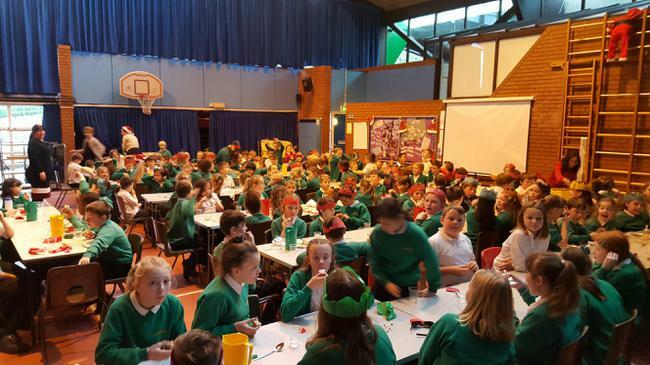 Our colour changing cocktails were a great hit too! 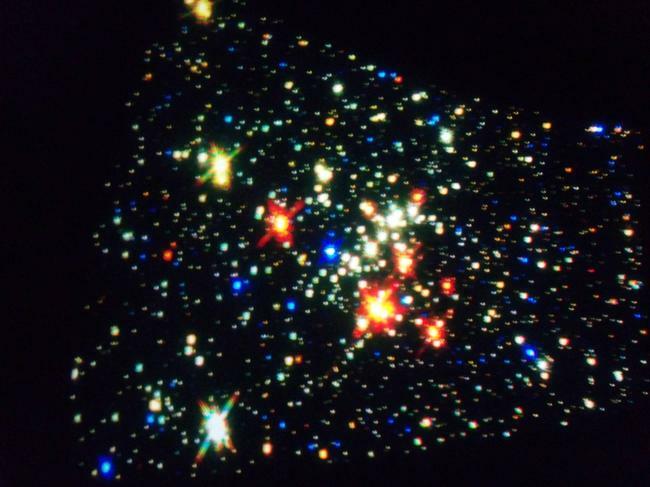 Despite a cloudy sky, we did manage to briefly glimpse the Summer Triangle and the Moon. 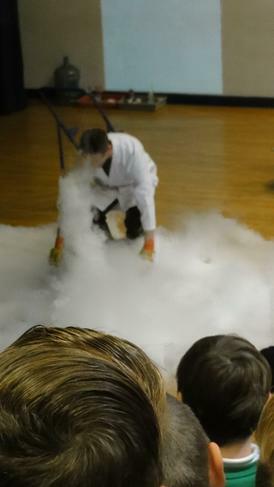 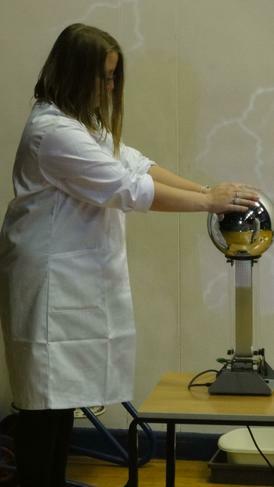 We hope our families enjoyed their Dome experience too as well as sharing this term's science learning. 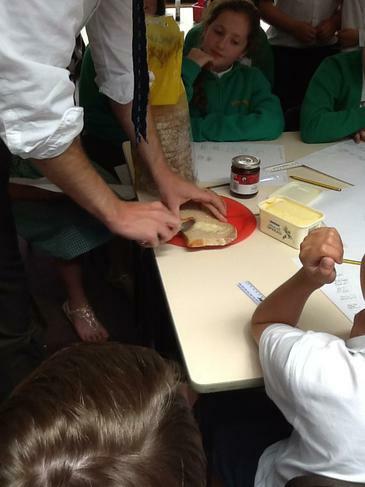 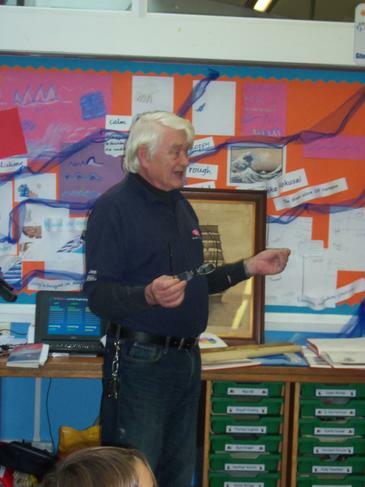 A very big 'thank you' to Liz's grandad, who came in to class recently to share his ship building expertise. 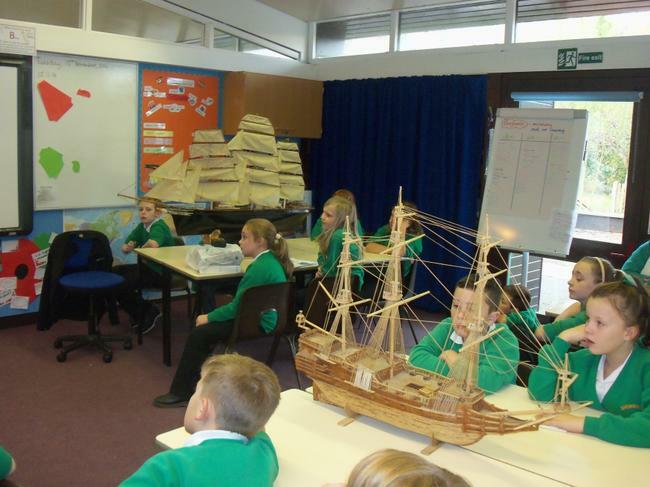 We were all fascinated by his stories and subject knowledge and were able to recognise many similarities with other ships we've been studying this term. 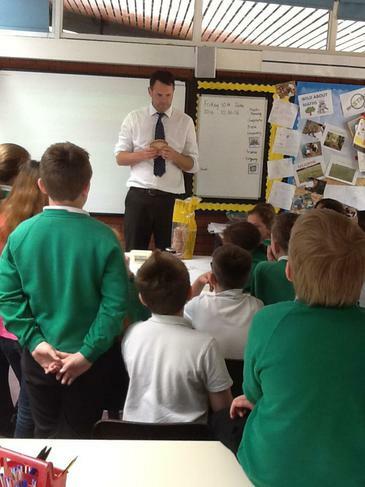 Mr Stopani was impressed with our questions and we wished he could have stayed longer! 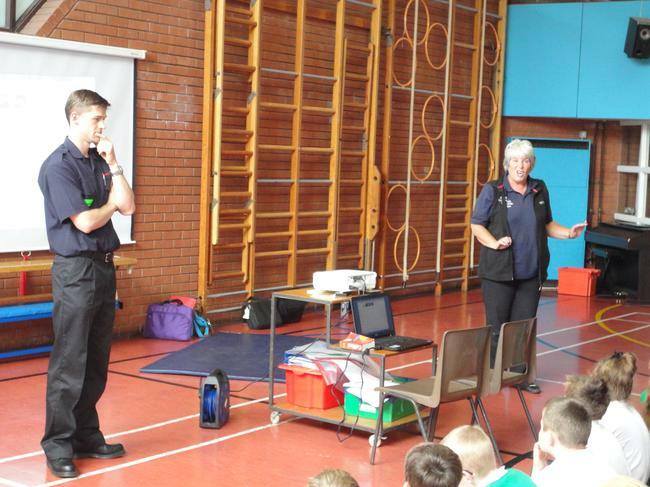 Hampshire Fire Service came to discuss Arson Awareness with us. 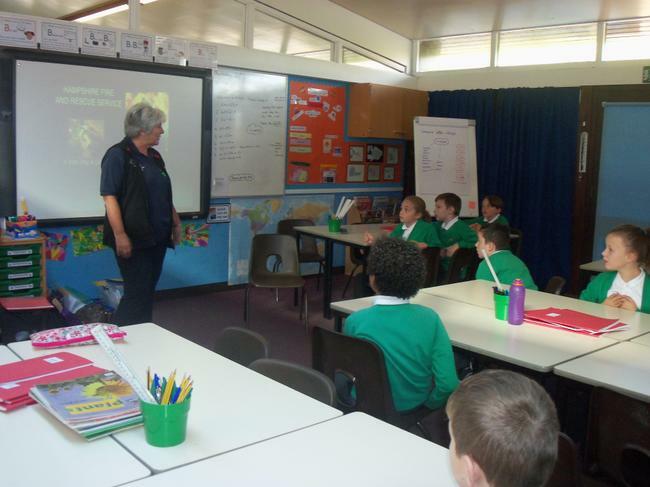 We worked hard with serving firefighters, discussing peer pressure and 'doing the right thing'. 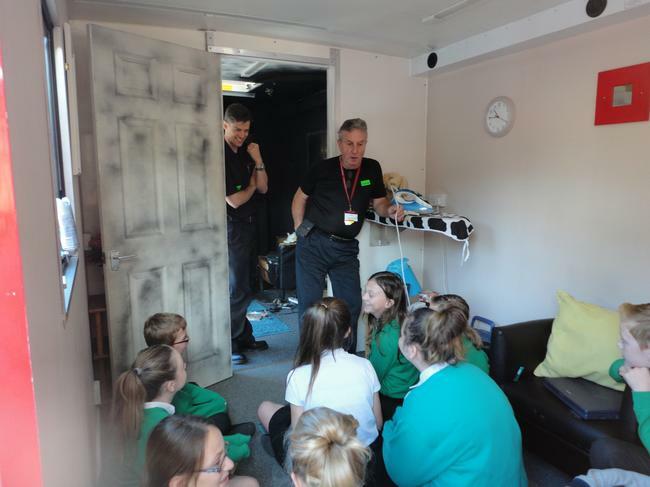 Later, as forensic scientists, in their mobile unit we deduced how a fire had started by examining a 'before' and 'after' scene. 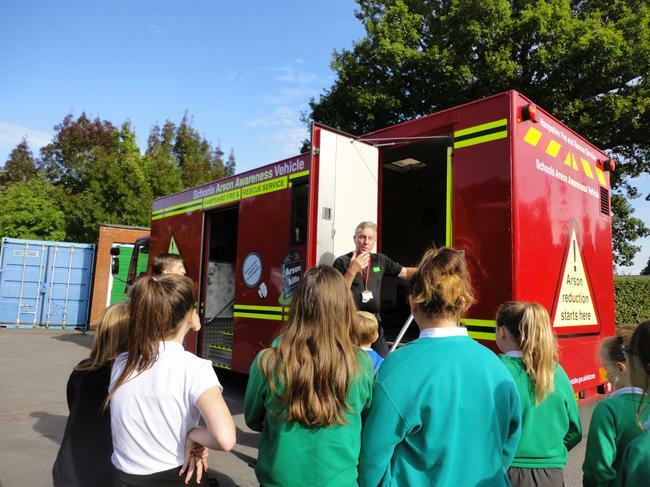 We discussed the importance of regularly testing our smoke detectors at home and how we could help our families create a simple Emergency Evacuation Plan to help keep us all safe. 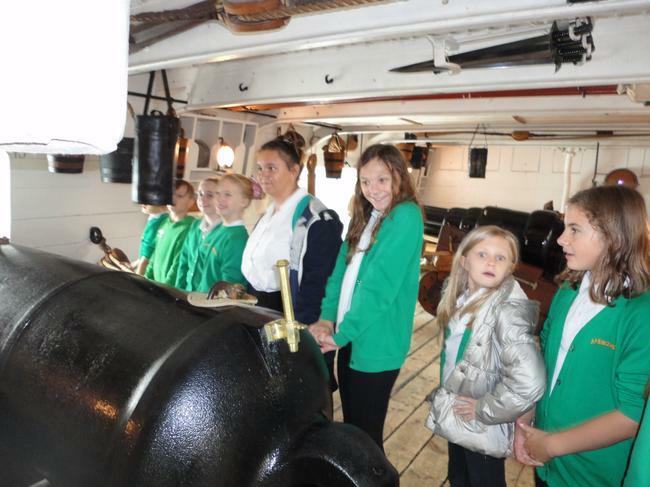 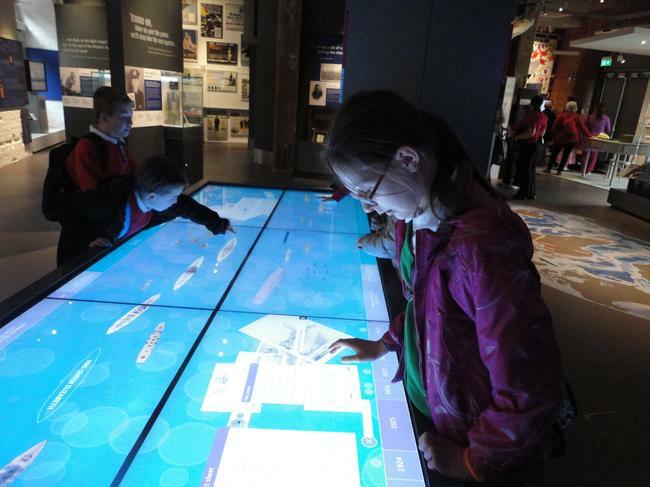 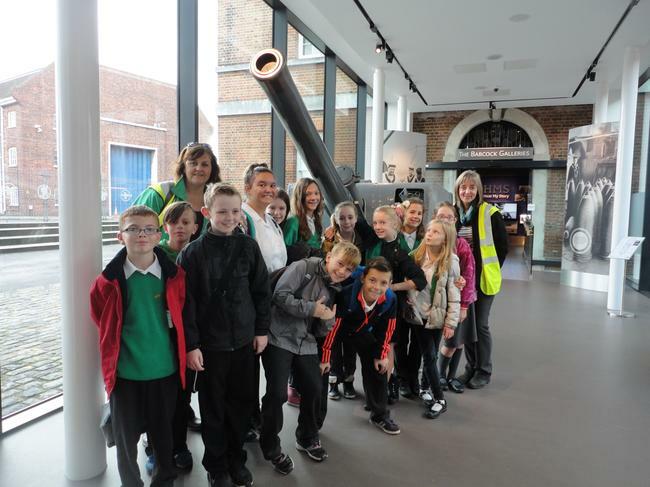 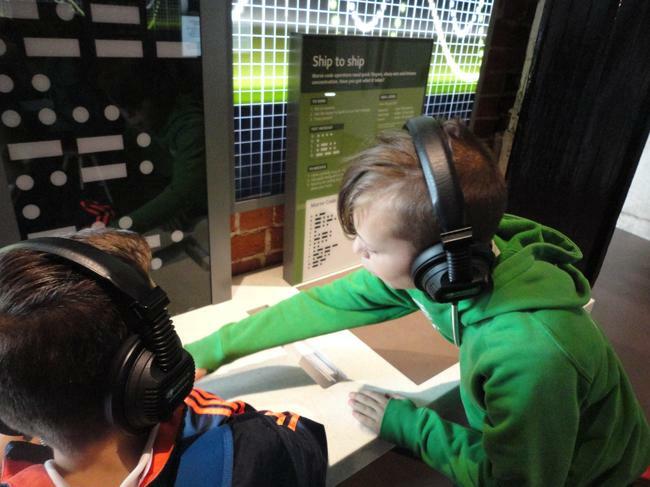 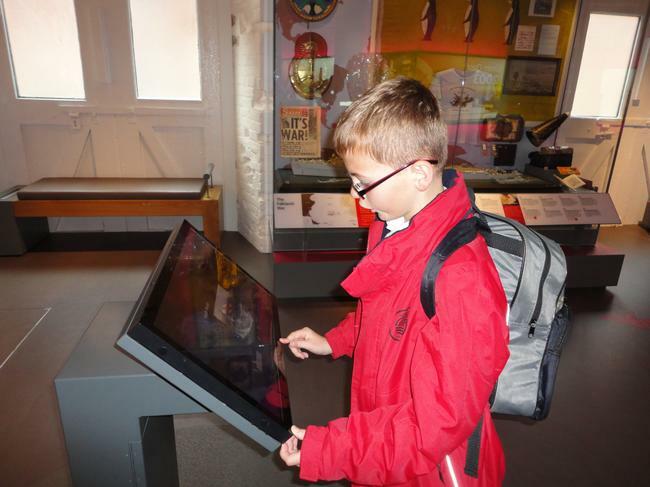 Year 6 visited Portsmouth's Historic Dockyard. 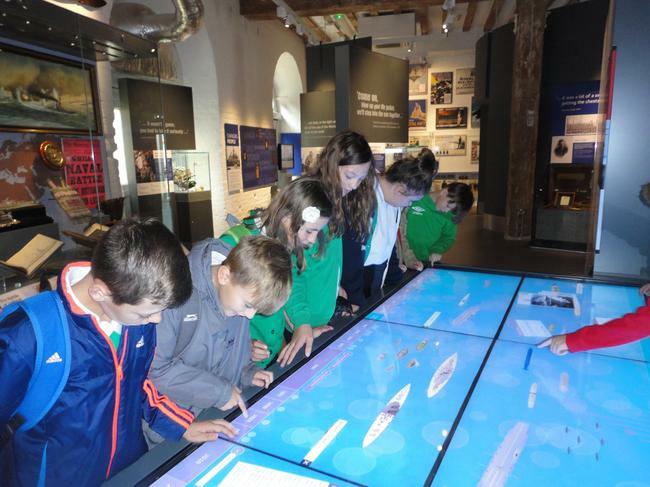 As historians and geographers, we were thinking hard about why Portsmouth is so important in our country's naval history. 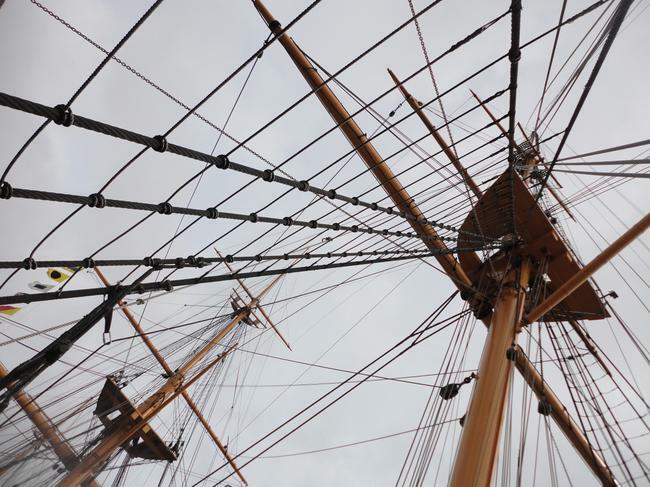 Why was HMS Warrior significant in terms of ship design in the late 19th Century? 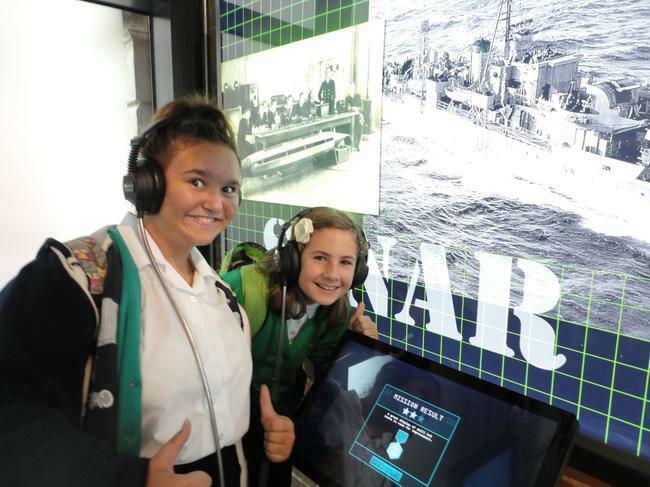 What was life like on board? 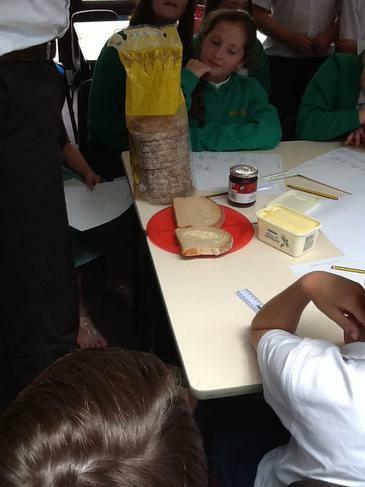 What evidence could we find to support our ideas and opinions? 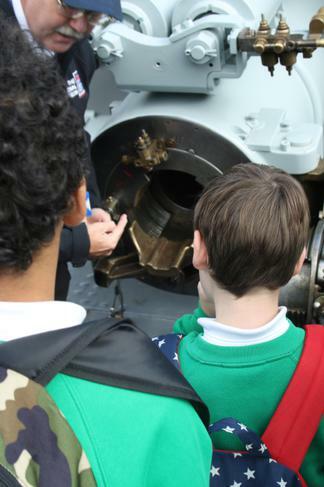 We also looked at the history of our modern Navy, how ship design has changed since Nelson's era and the changing role of the Royal Navy today. 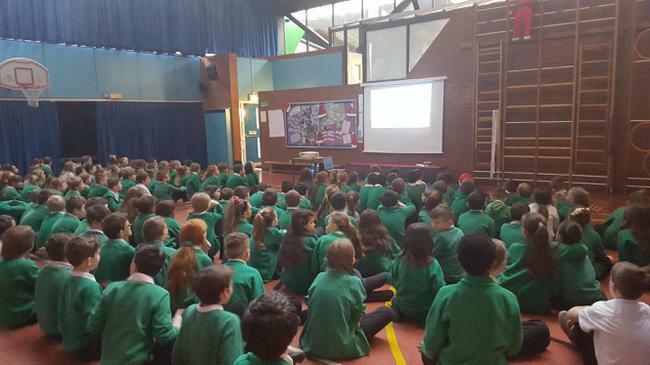 Thanks to all Y6 parents who attended our SATs workshop. 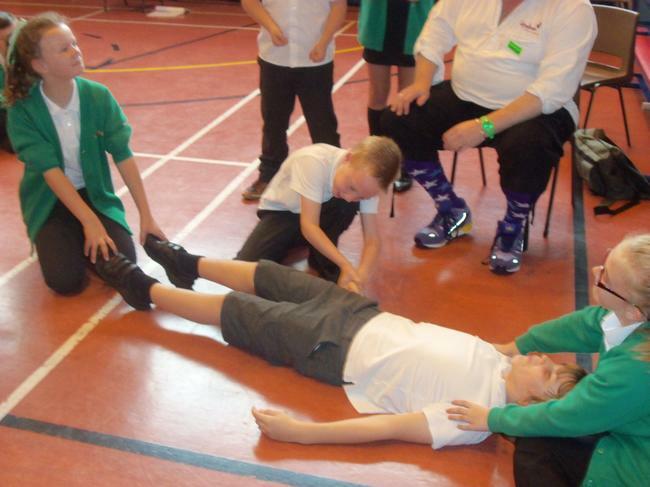 More information will be uploaded over the coming weeks about how you can best support your child. 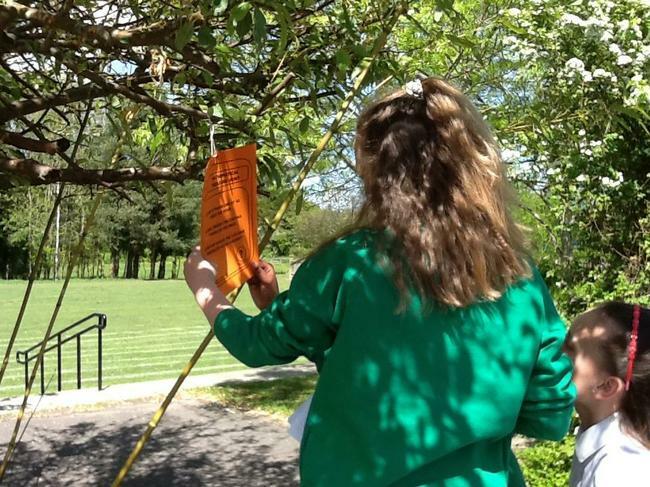 In the meantime, lots of daily reading at home, with an adult whenever possible. 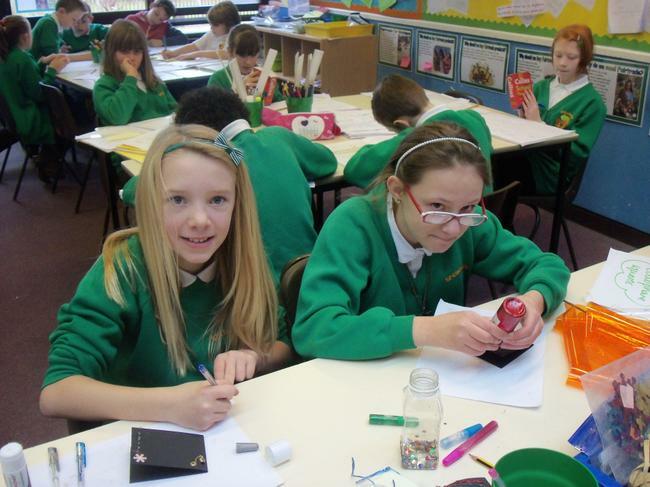 Your child's reading journal contains a summary of reading assessment focuses that we're working towards in class. 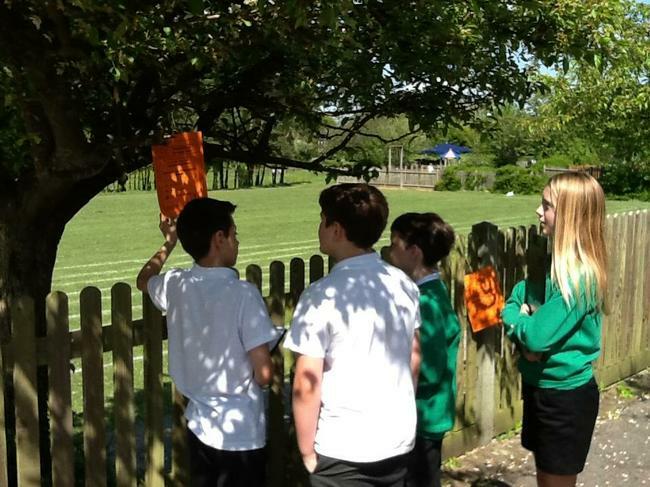 Especially work on AF3 if you can - deduction & inference. 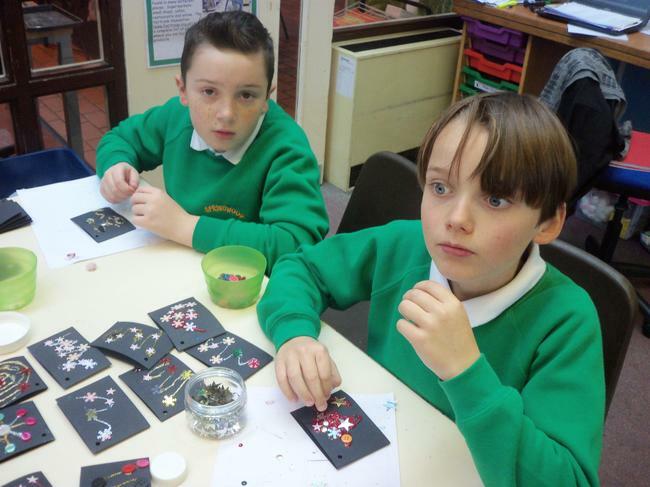 This is all about piecing together ideas and opinions based on clues in the text.